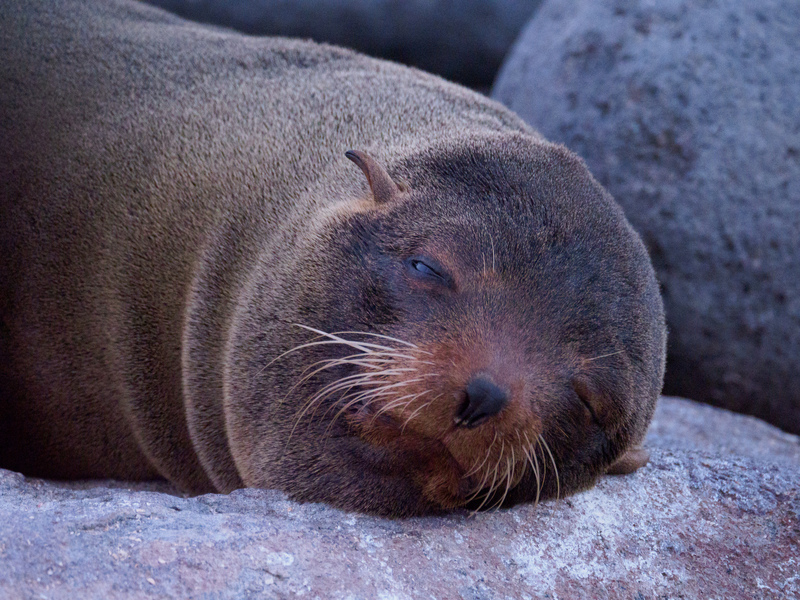 Our group's first day in the Galapagos started way, WAY too early --- waking up in Otavalo at 4 AM. 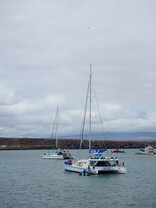 The early wake up is so we could take the bus back to the airport in Quito, to get the flight to Baltra via Guayaquil. 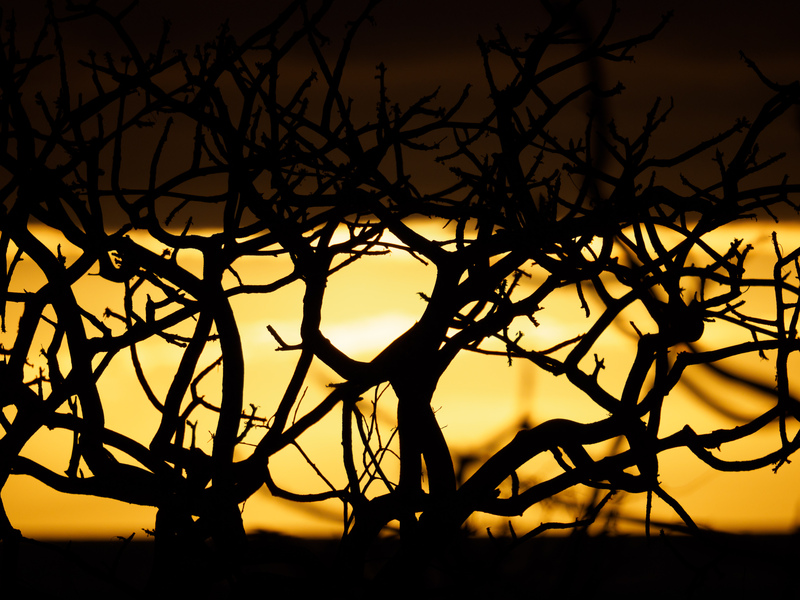 There are no pictures of this part of the day. 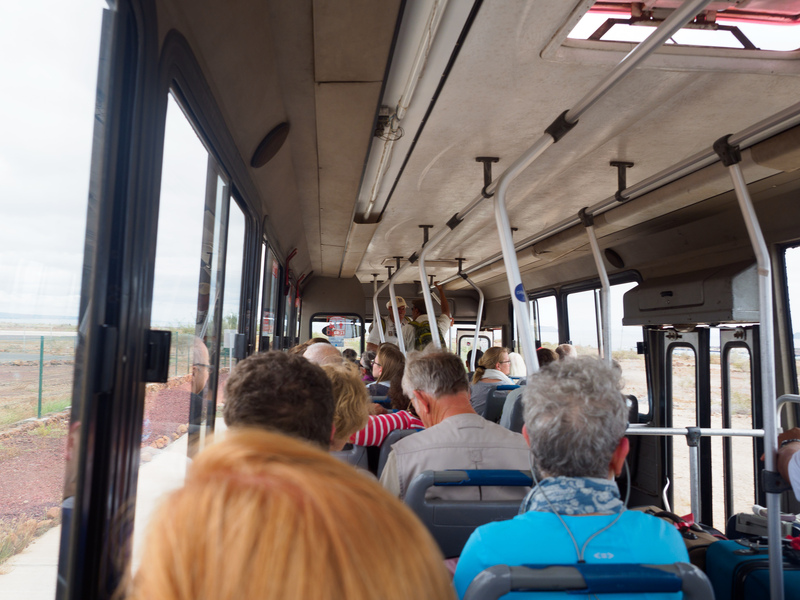 Buses and airports everywhere look like buses and airports everywhere. After a very sleepy bus ride, a shuffle through the Quito airport, and two flights, we arrived at Seymour airport on the island of Baltra. Seymour Airport was once a United States military base (during World War II), and is now one of the world's only "green" airports). 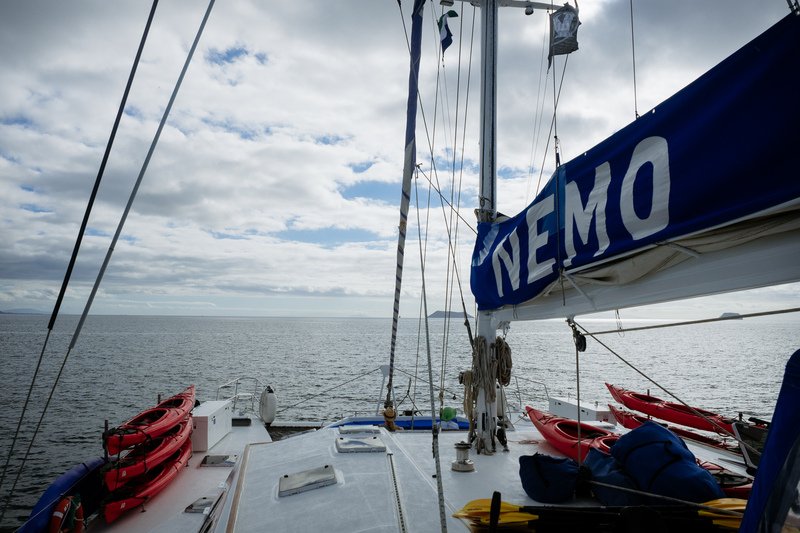 From the airport, it's a very short bus ride to the bay where we were to embark on our home for the next week, the Nemo III. 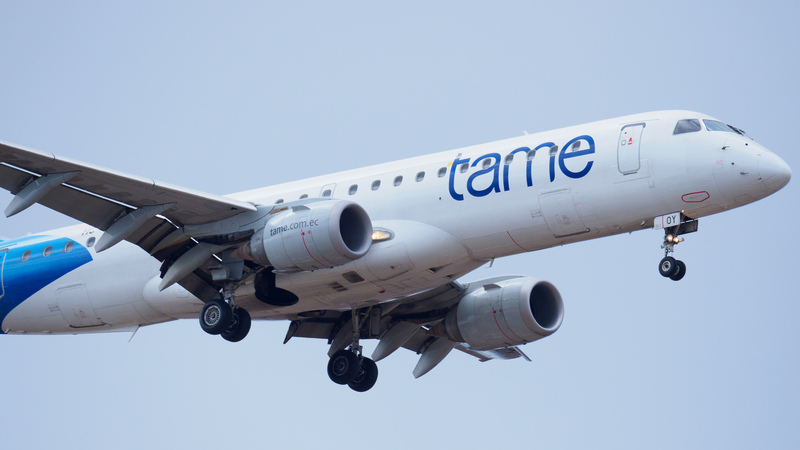 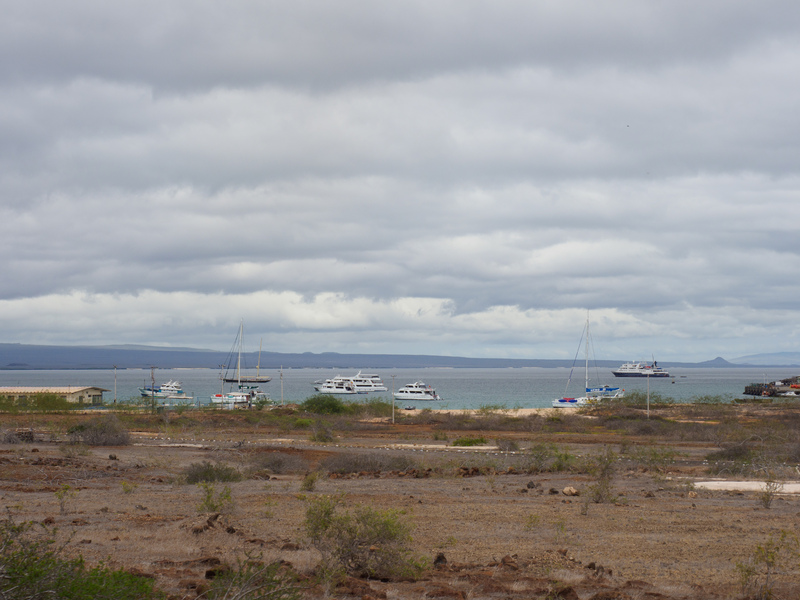 In fact, we could see the Nemo III from the air as we came in to land. 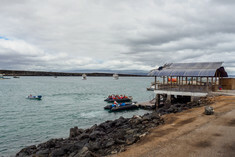 Once on board the boat and settled in, we had lunch, a siesta which I used to get my camera gear set up and calibrated, and a brief kayak to get familiar with the kayaks (and undoubtedly to let our guides get a sense of whether we'd get in trouble in the water or not!). 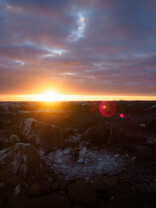 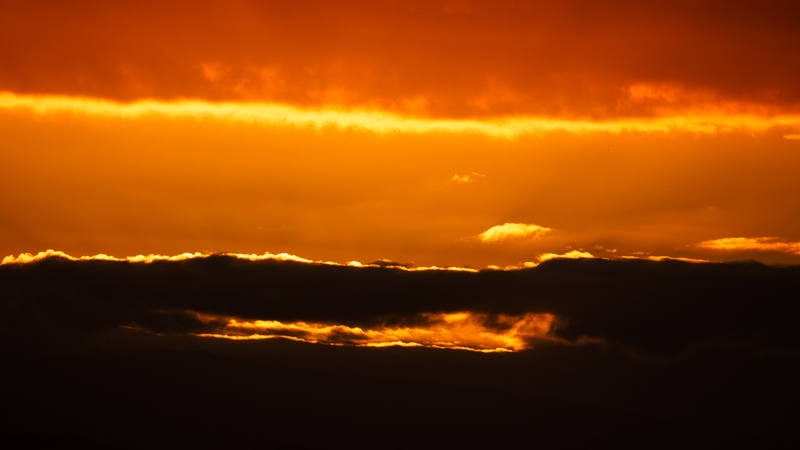 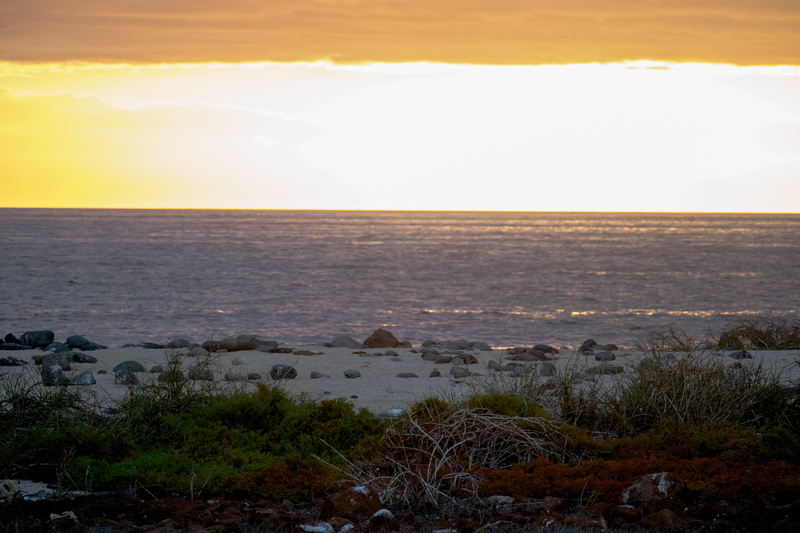 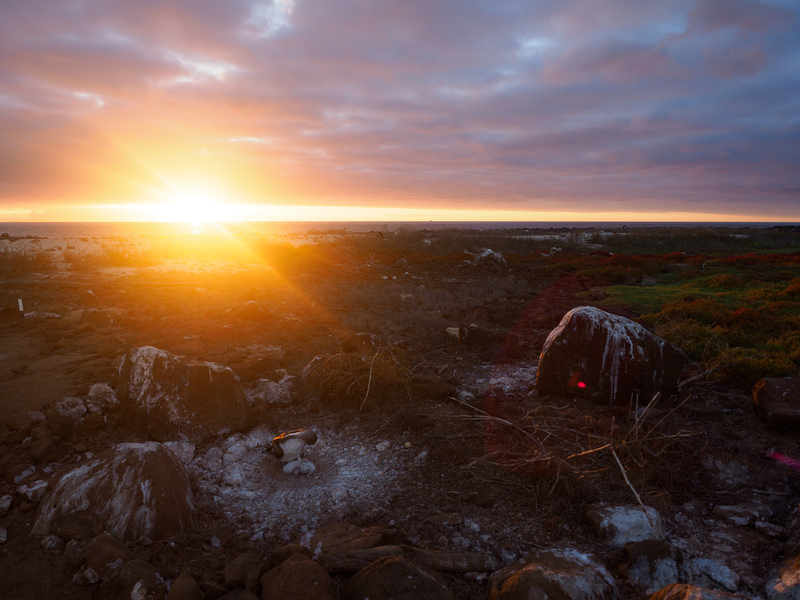 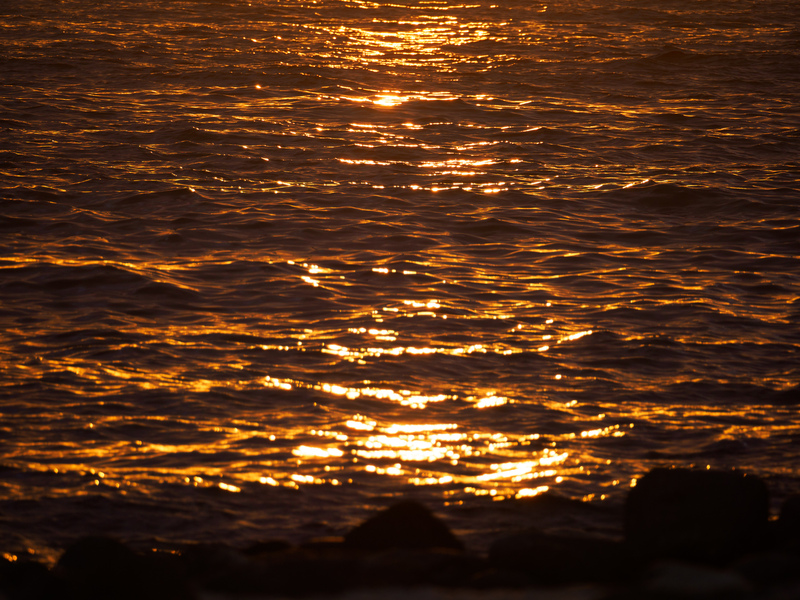 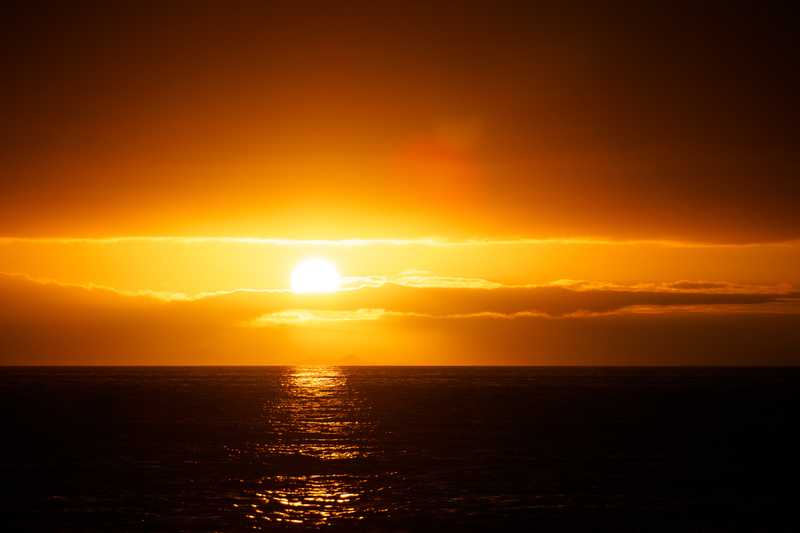 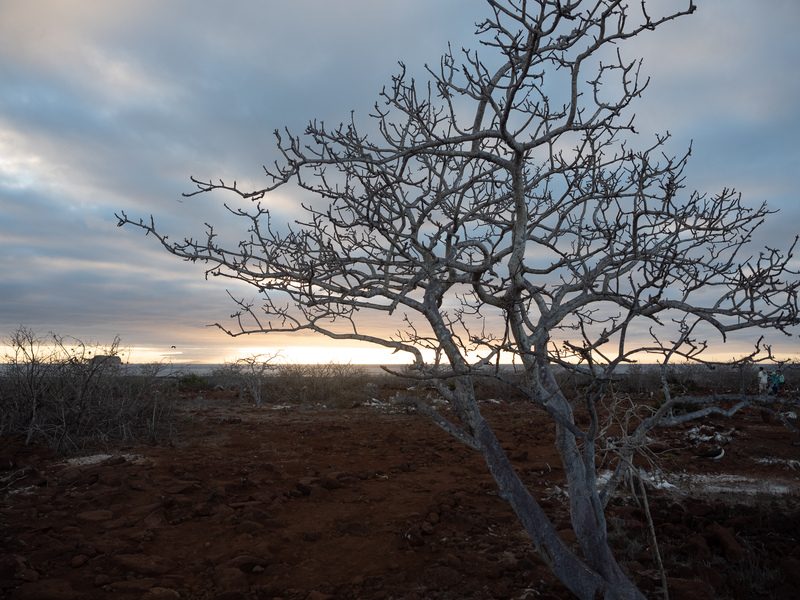 While it felt like a fairly slow way to get started, when we finally got to North Seymour Island for our first nature walk it meant we were finishing near sunset, which turned out to be fantastic for photos and general "wow" factor. 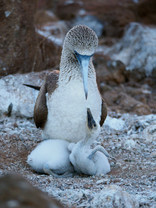 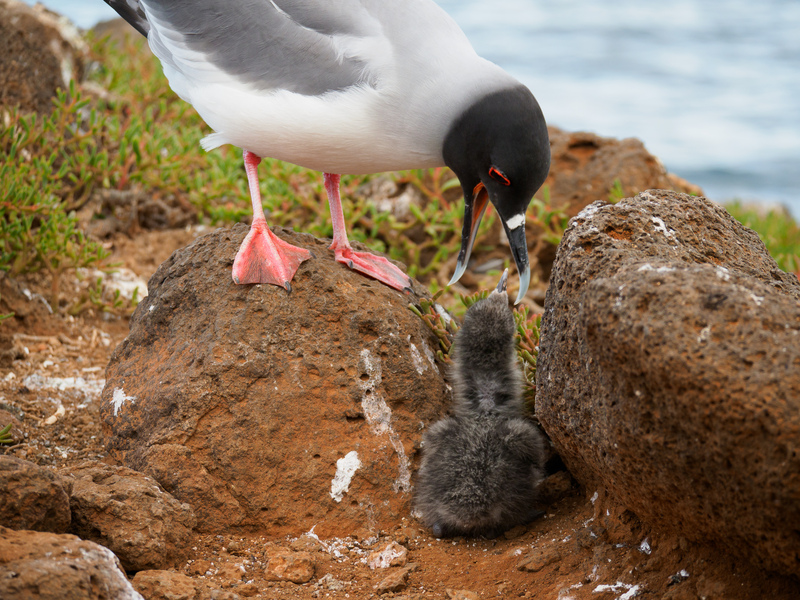 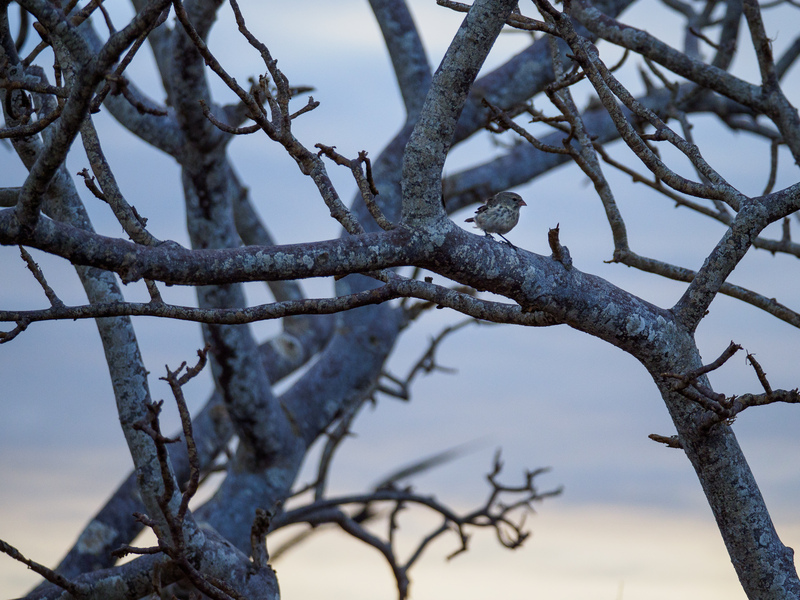 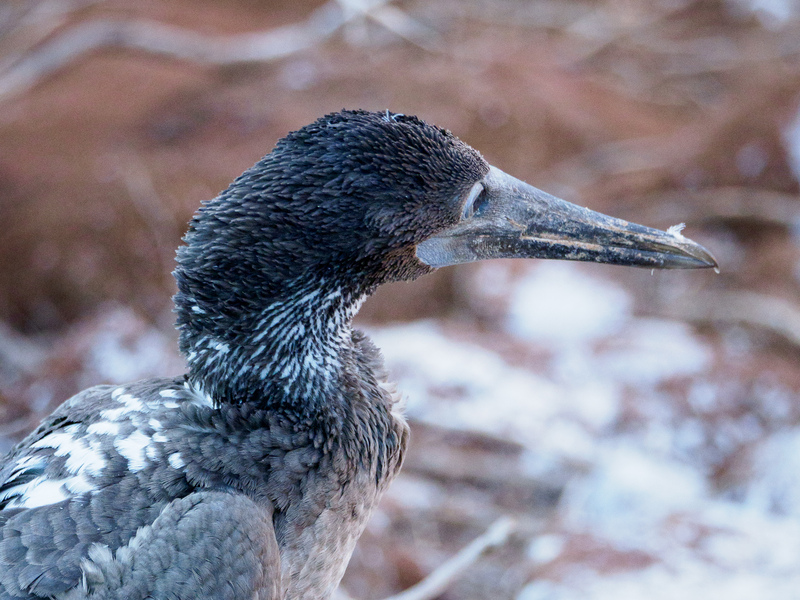 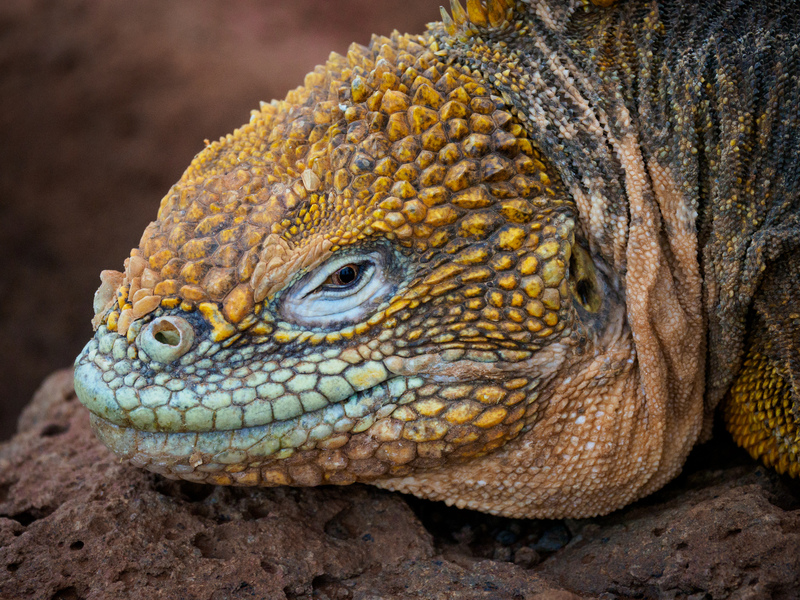 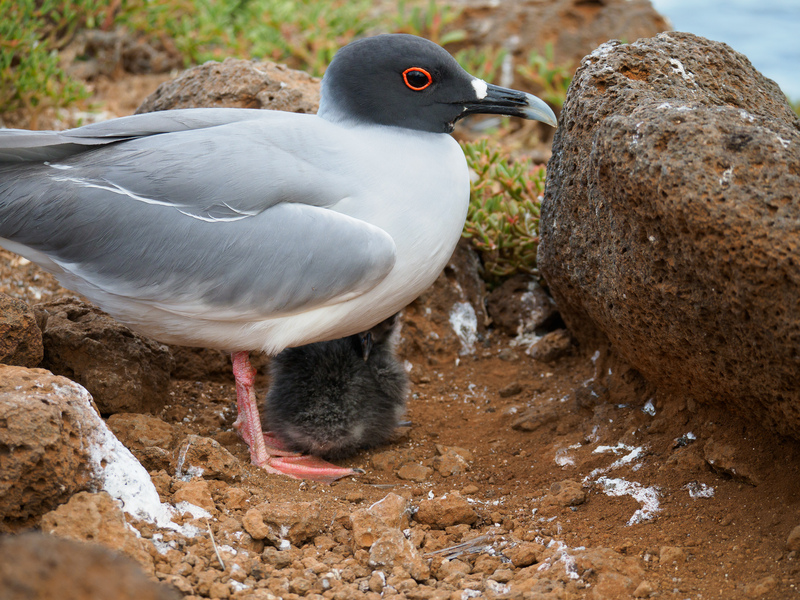 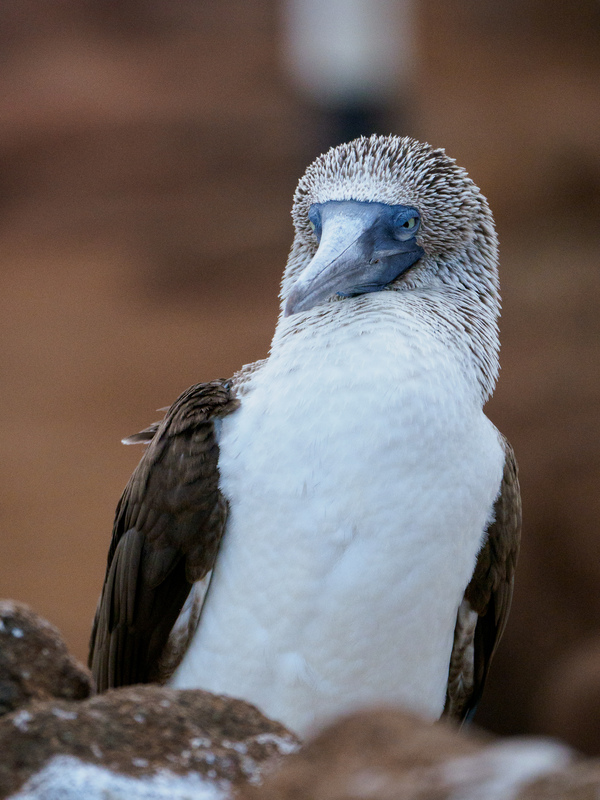 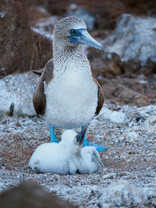 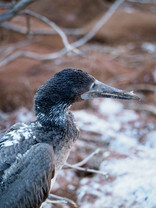 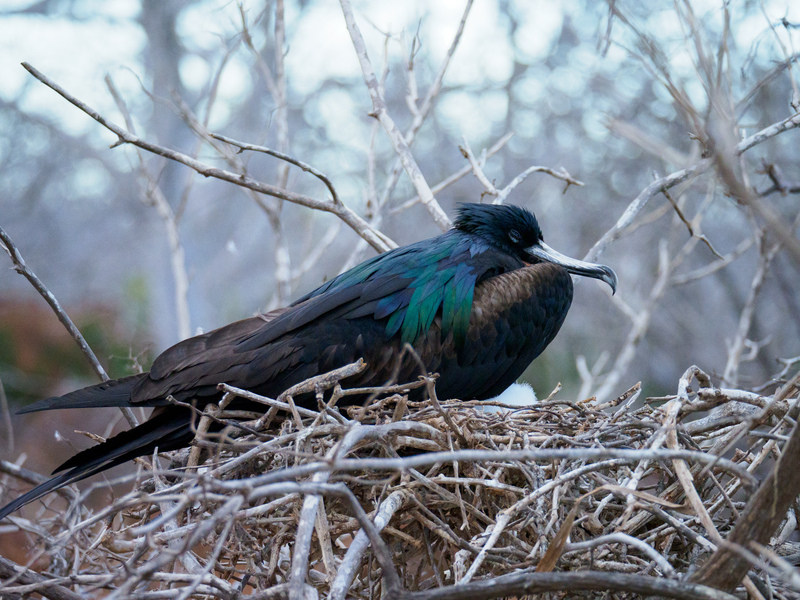 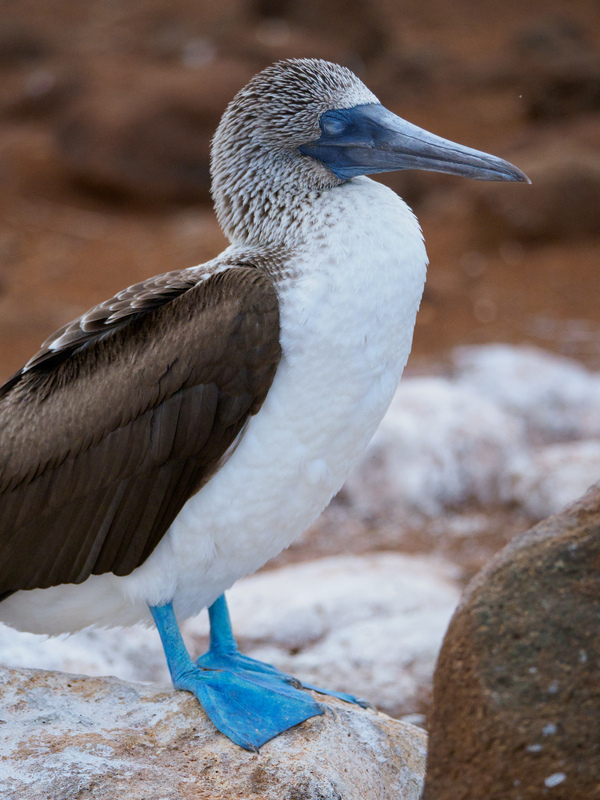 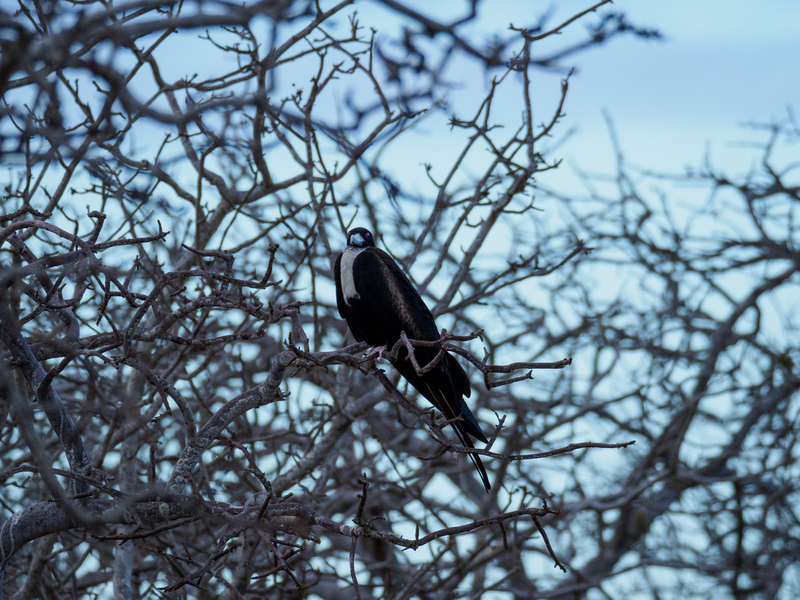 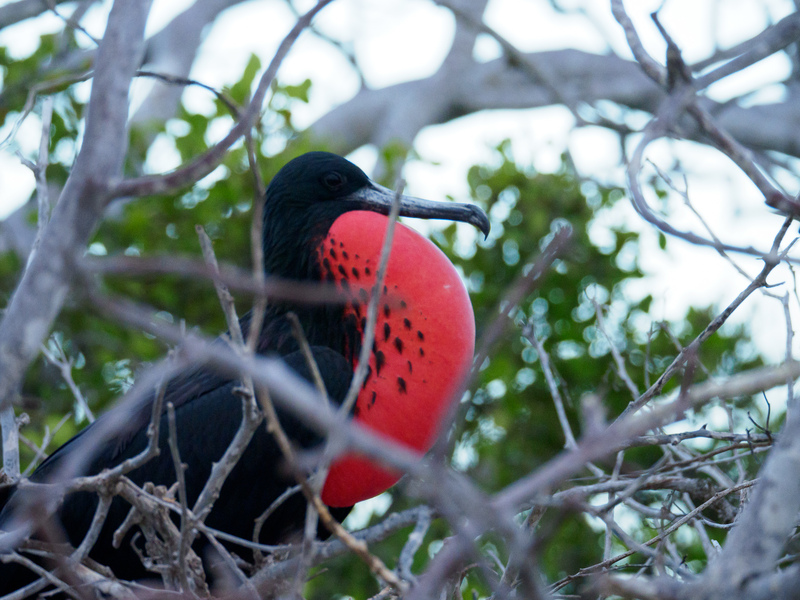 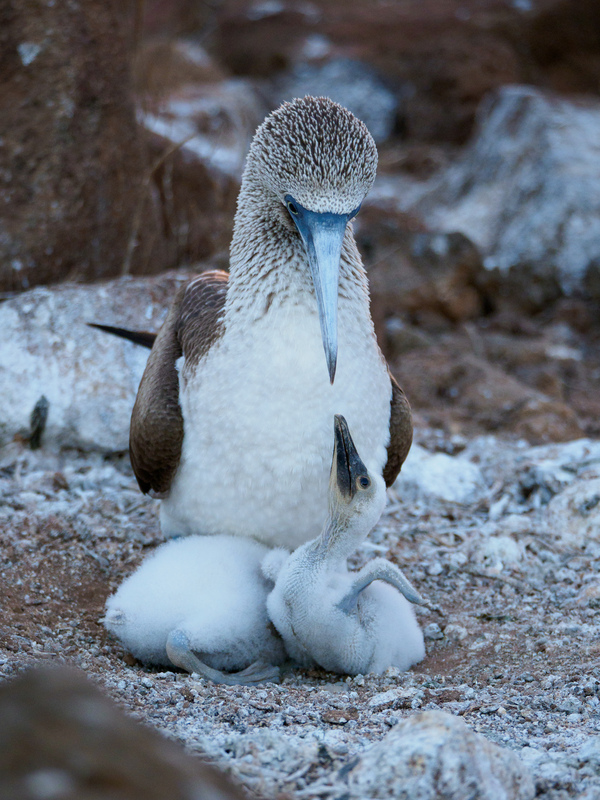 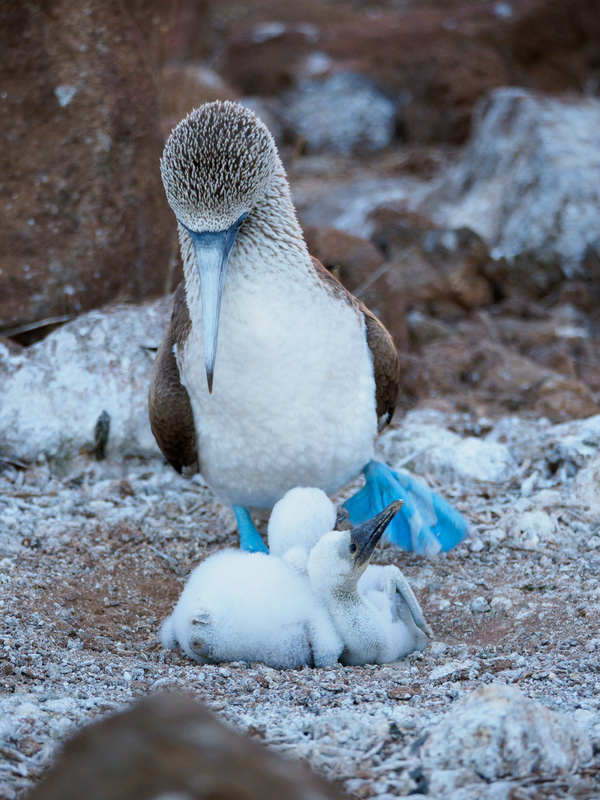 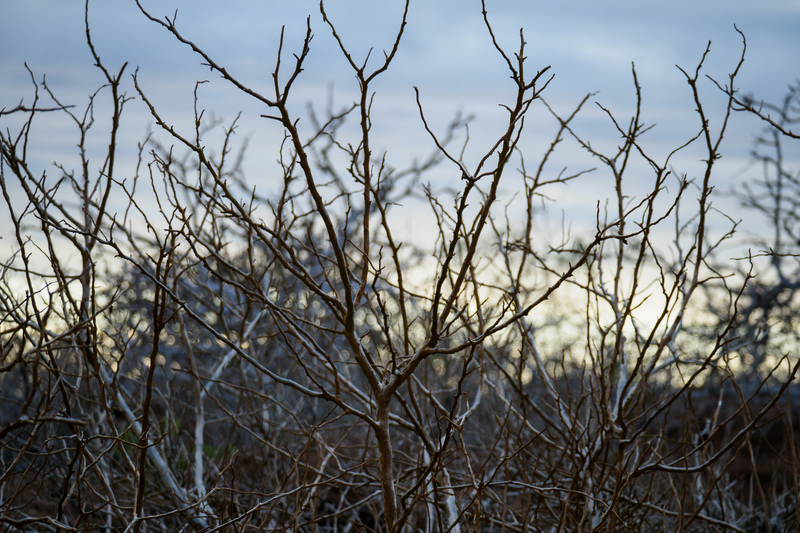 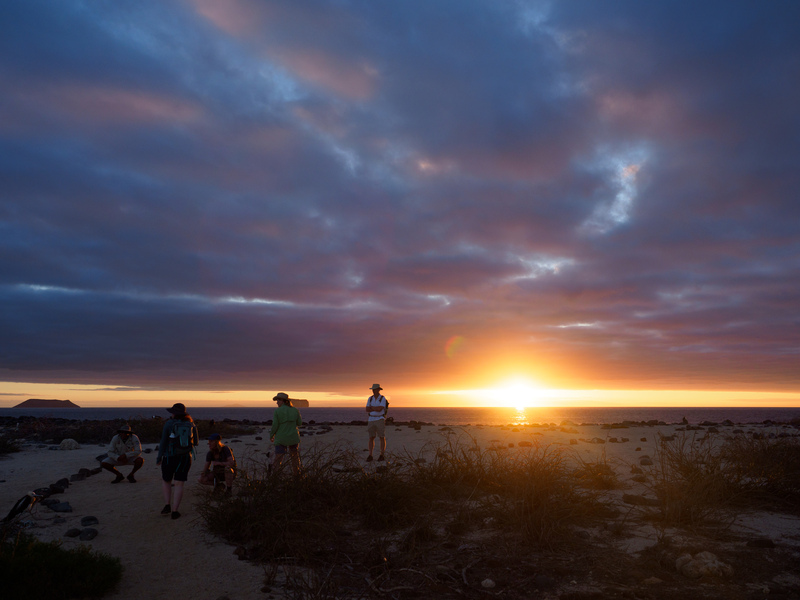 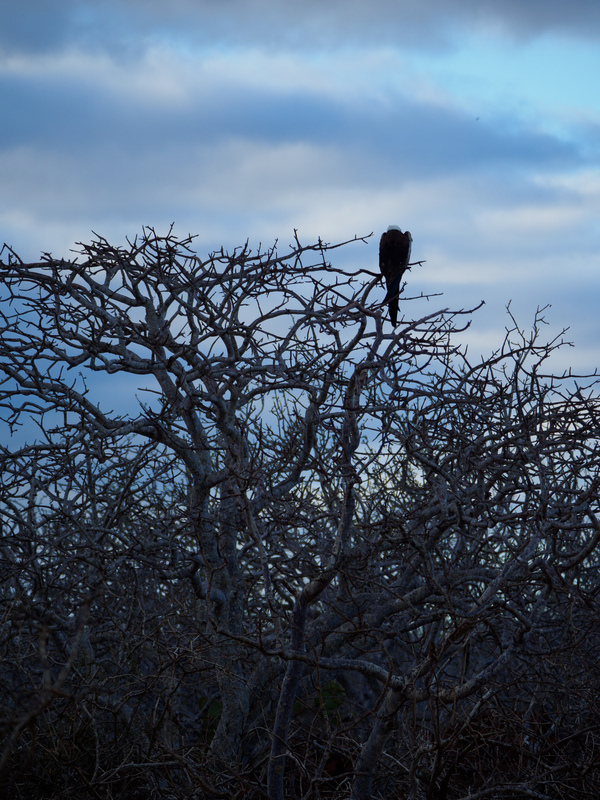 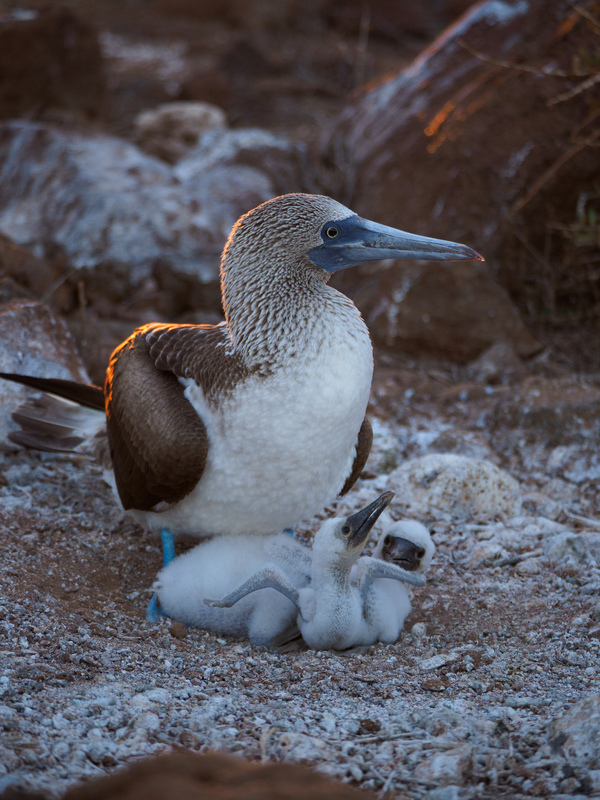 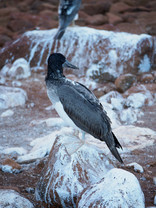 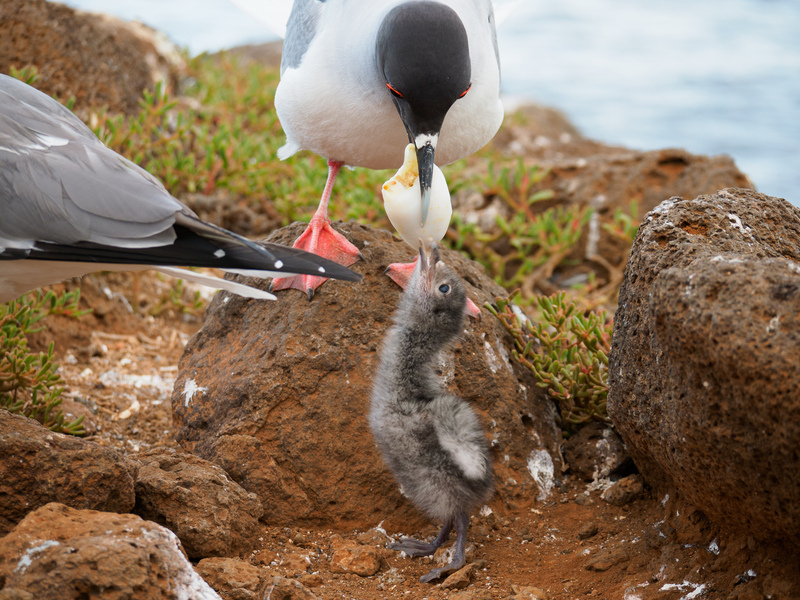 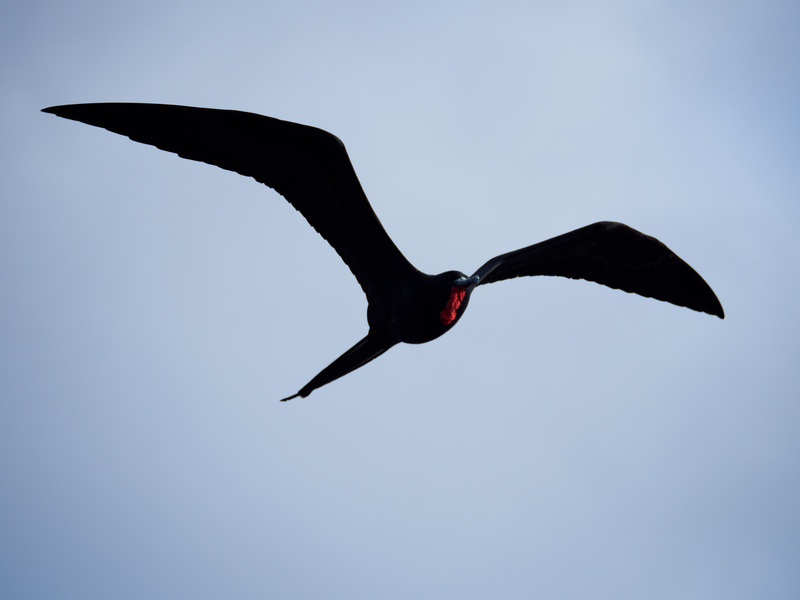 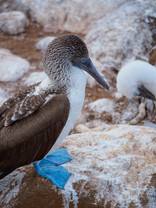 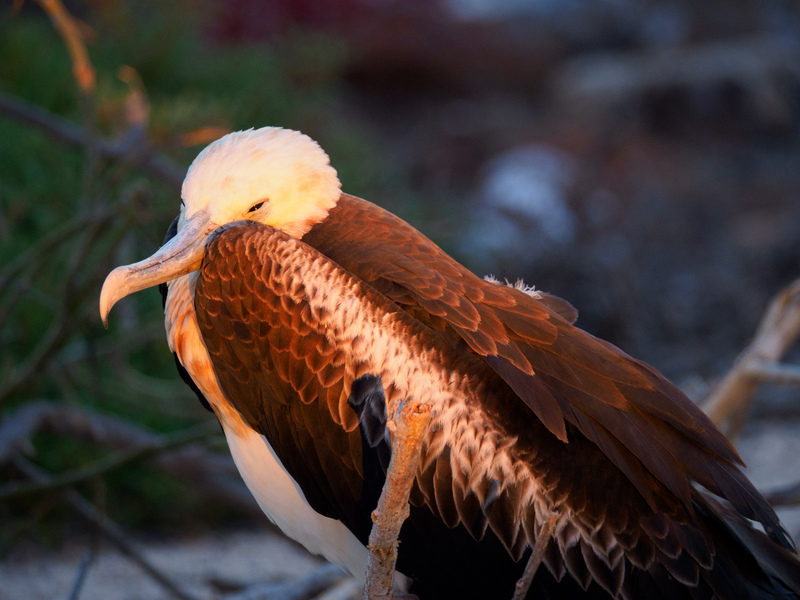 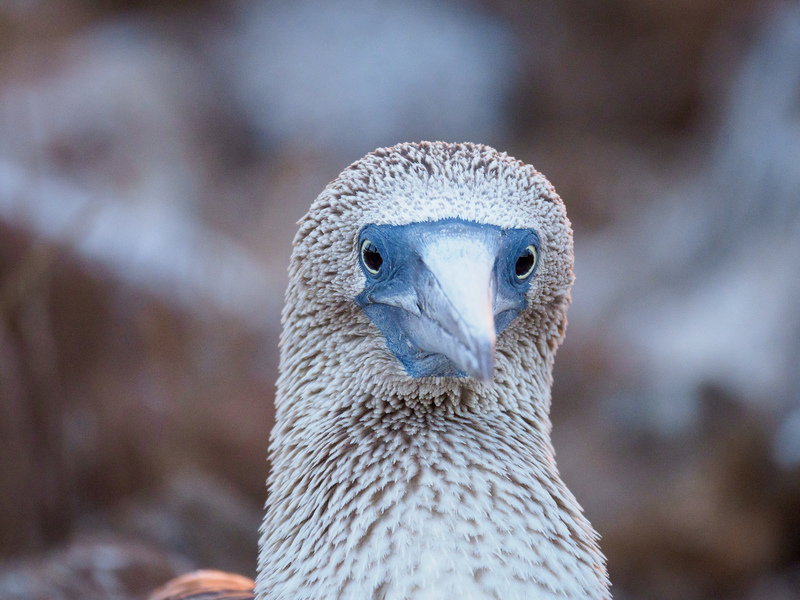 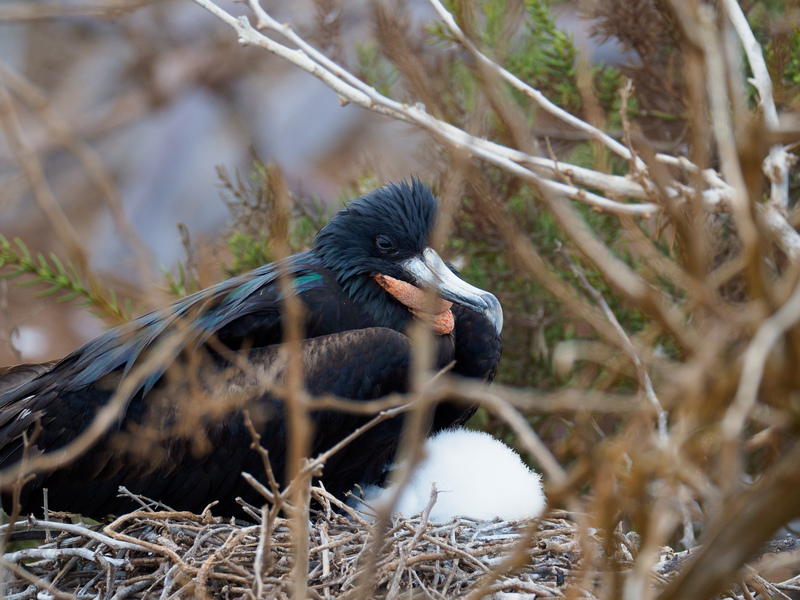 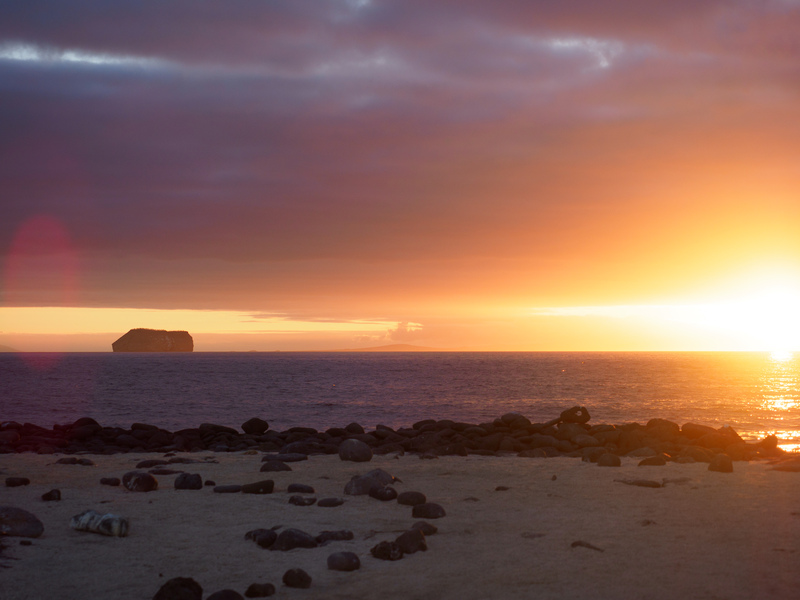 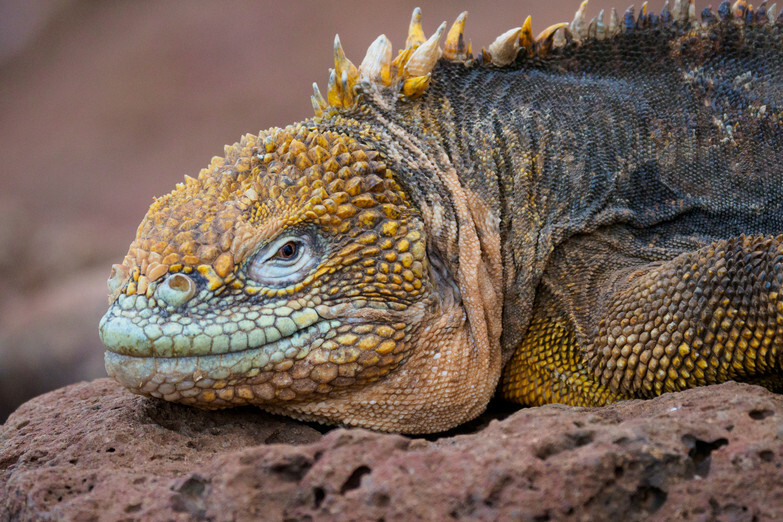 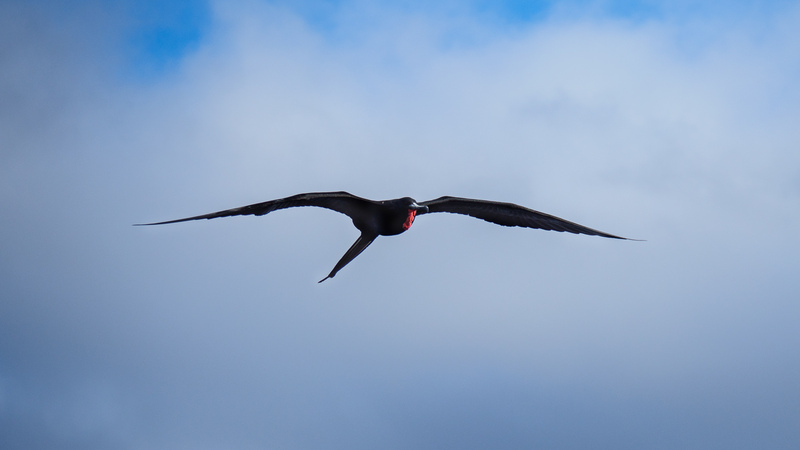 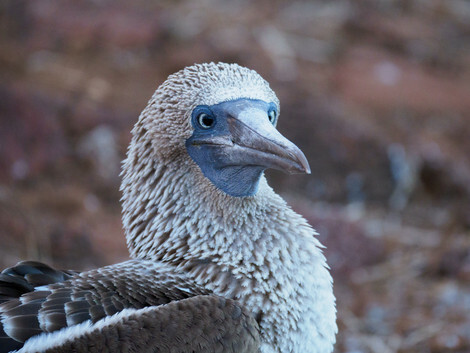 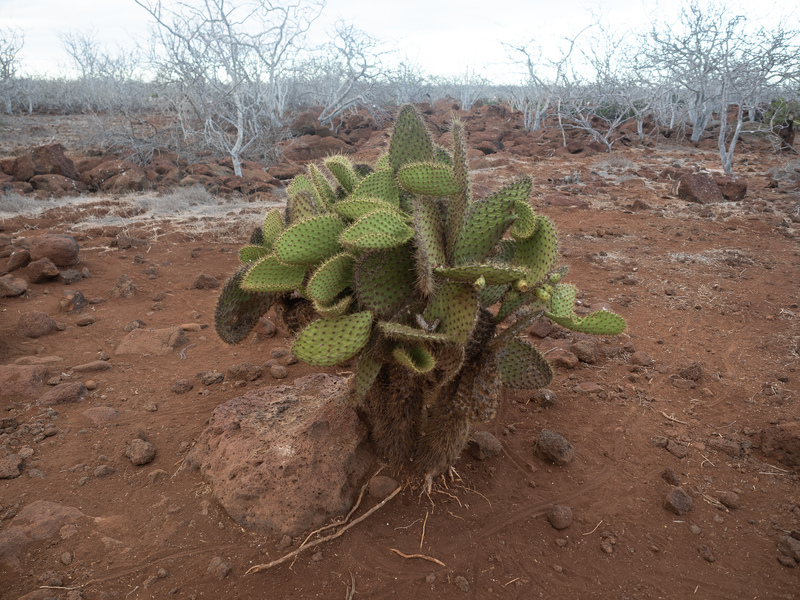 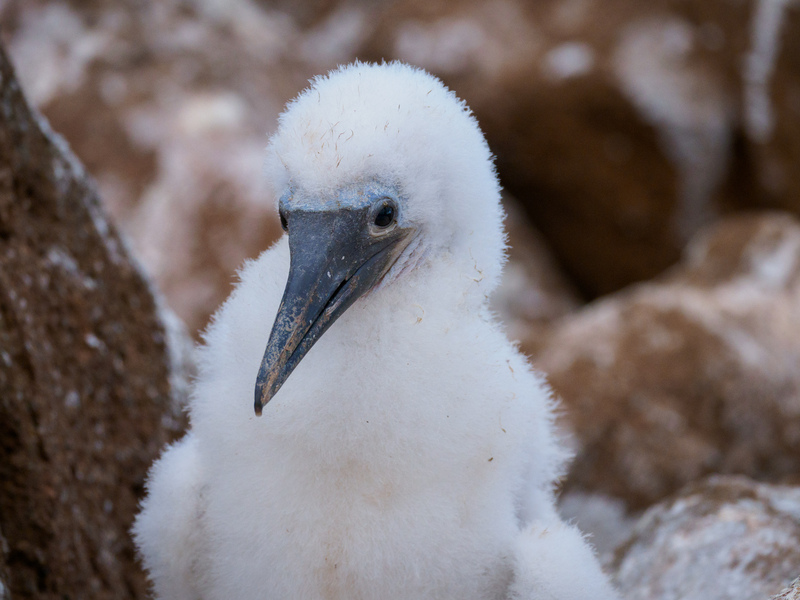 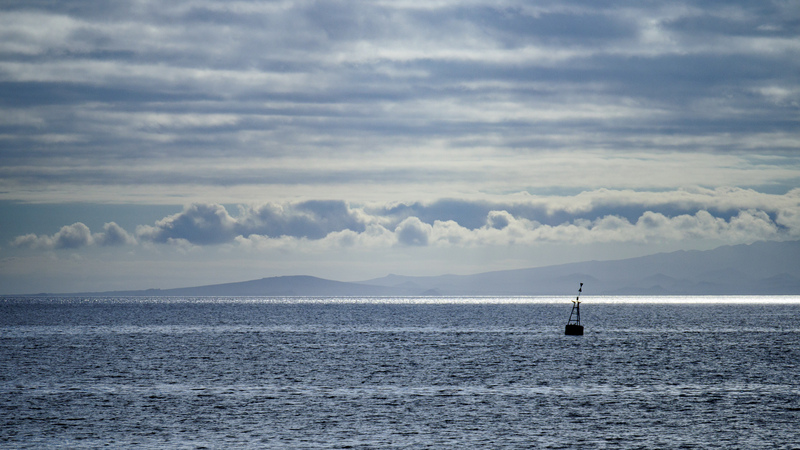 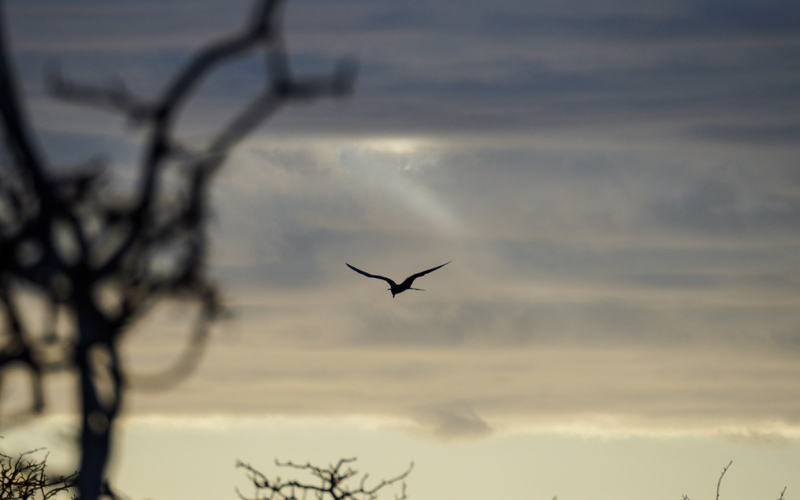 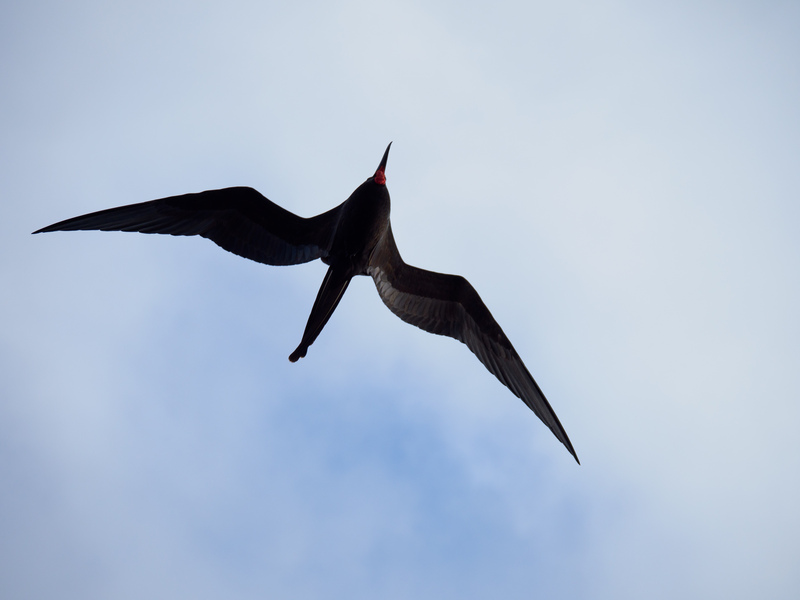 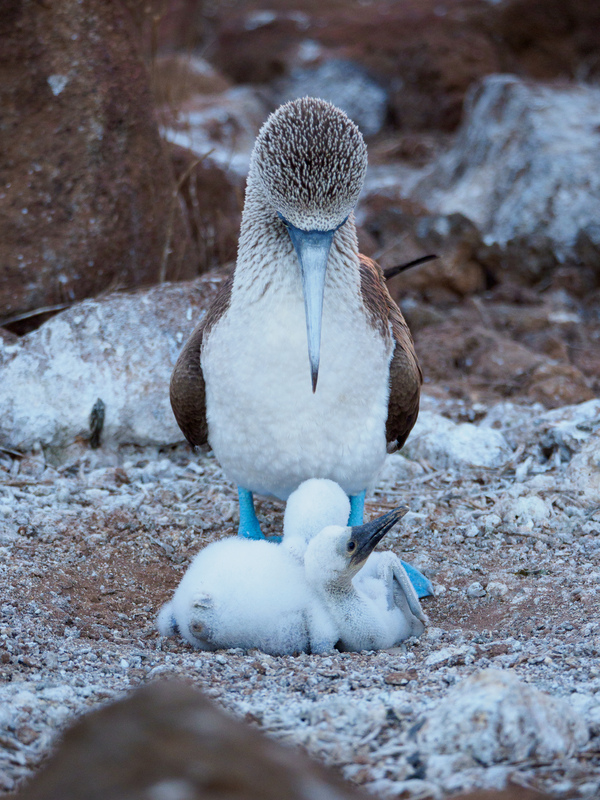 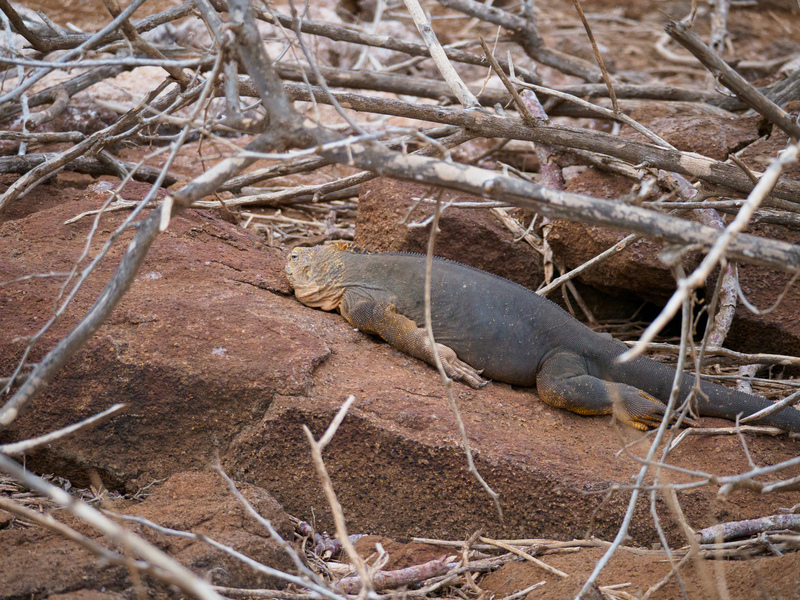 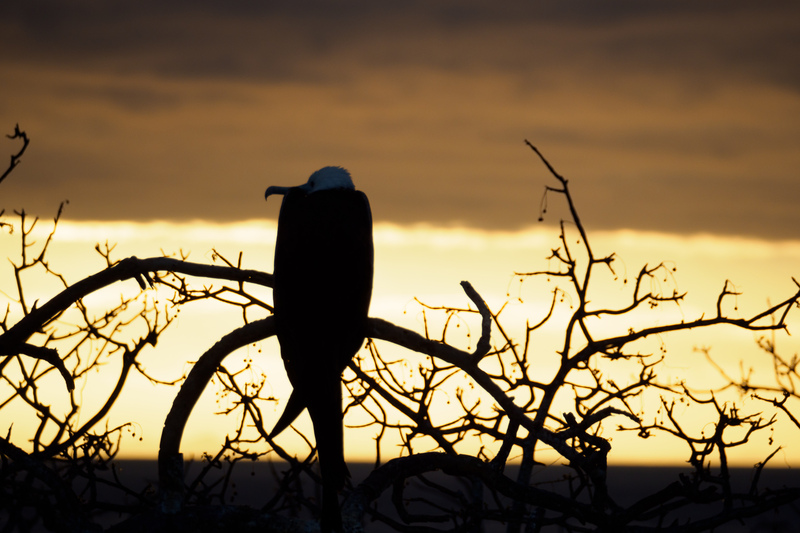 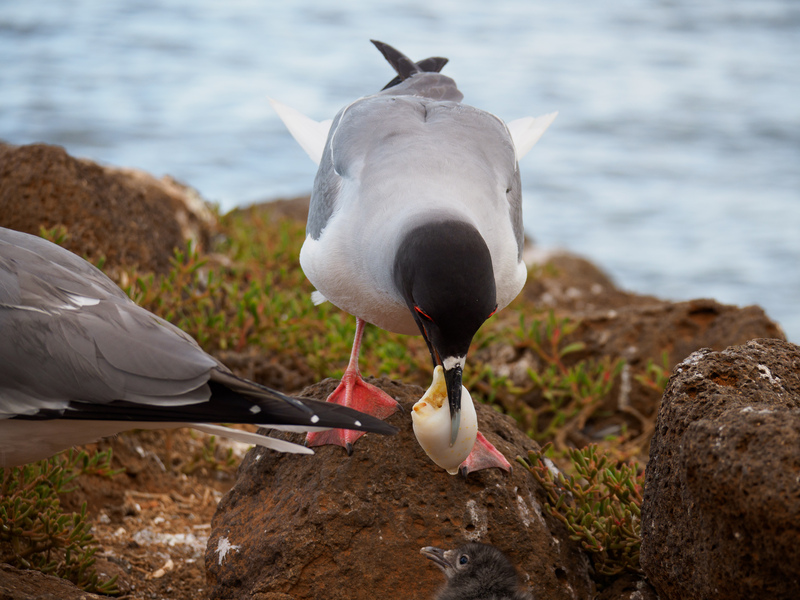 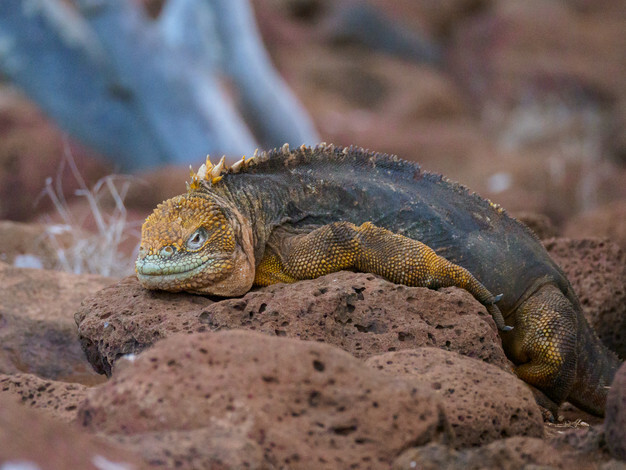 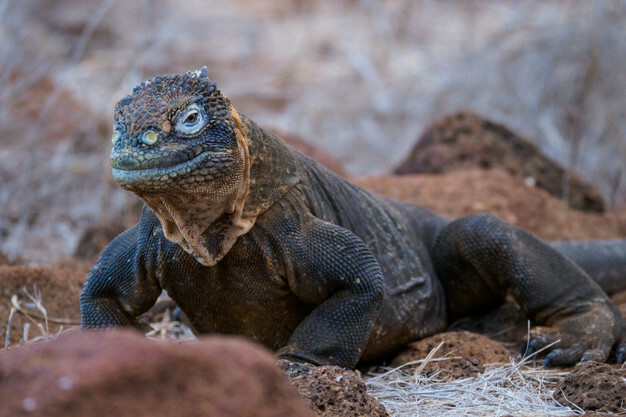 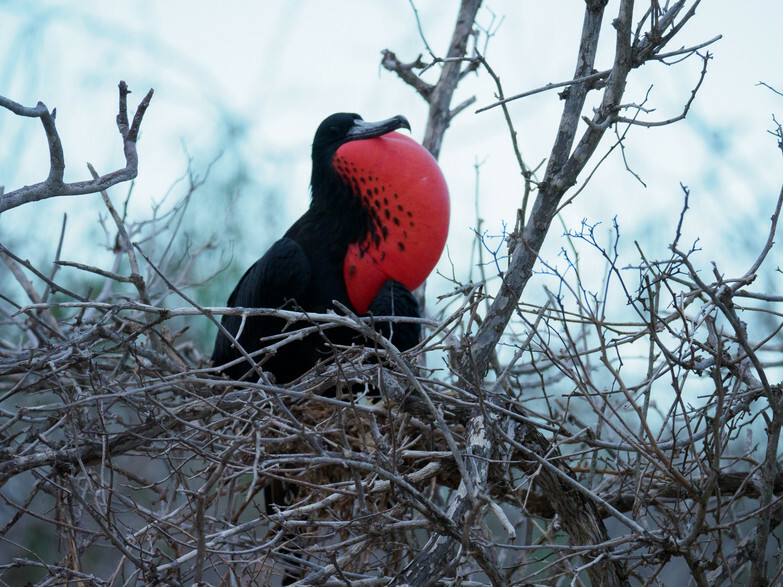 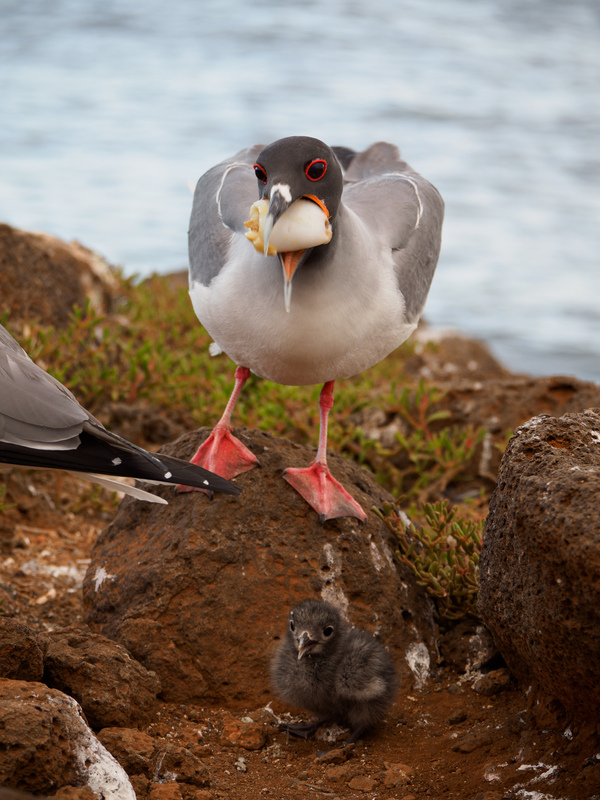 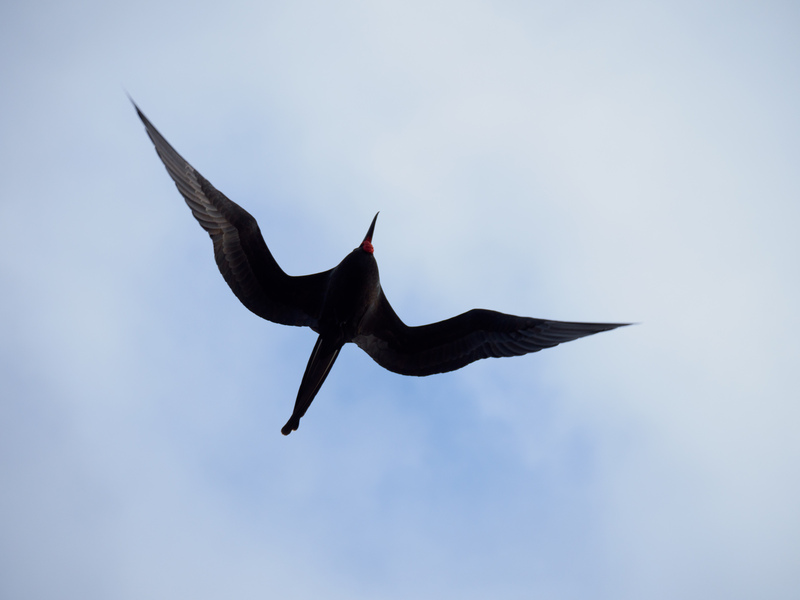 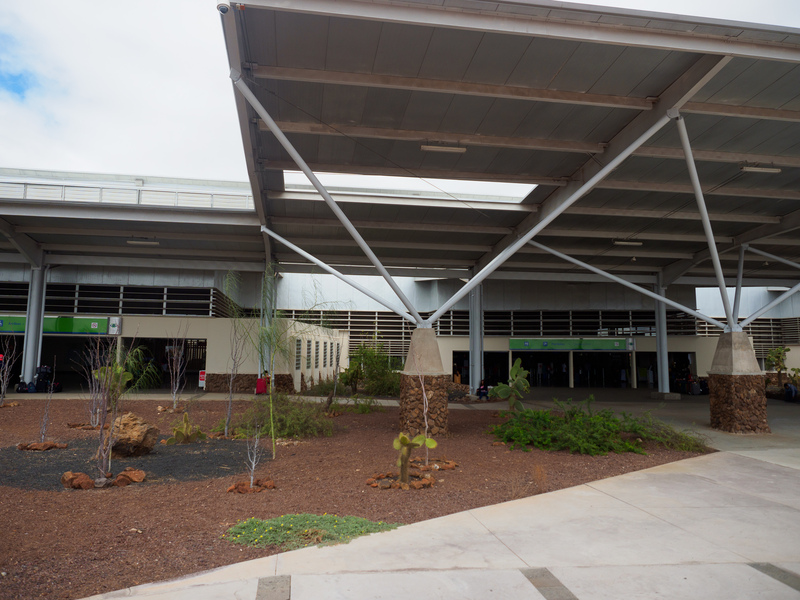 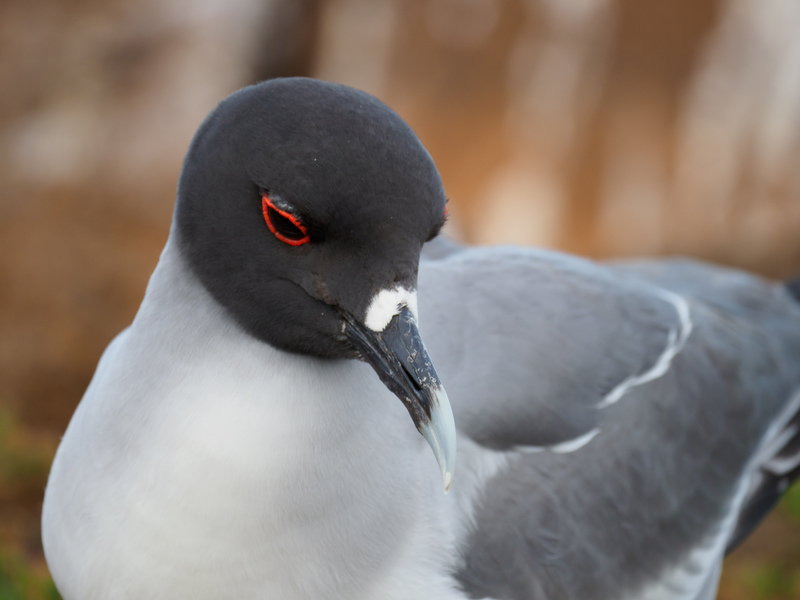 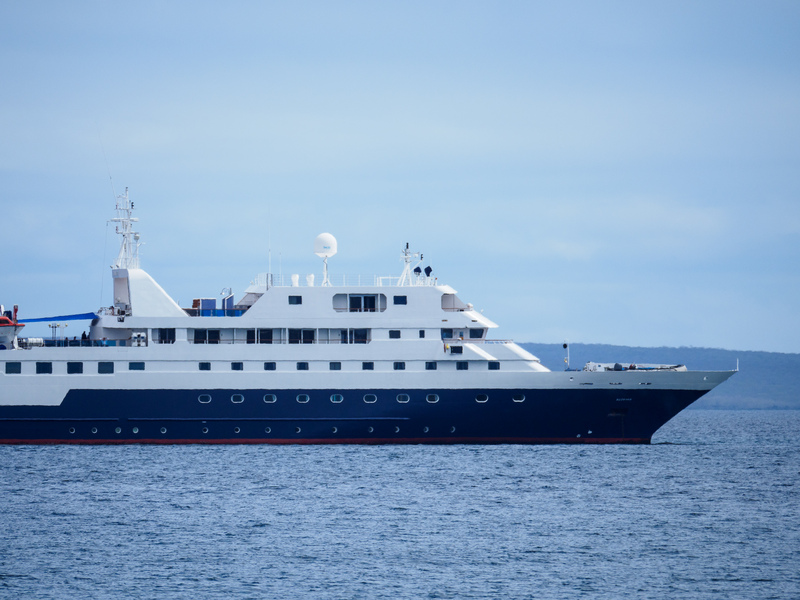 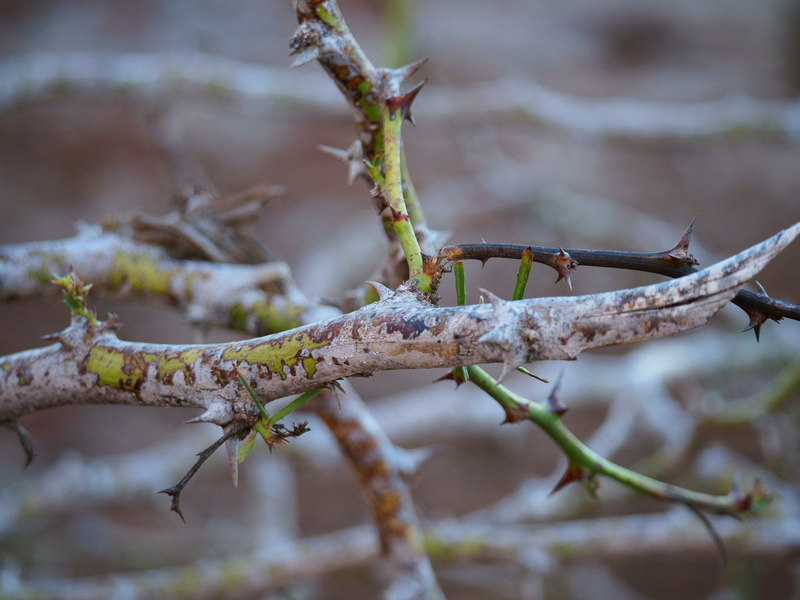 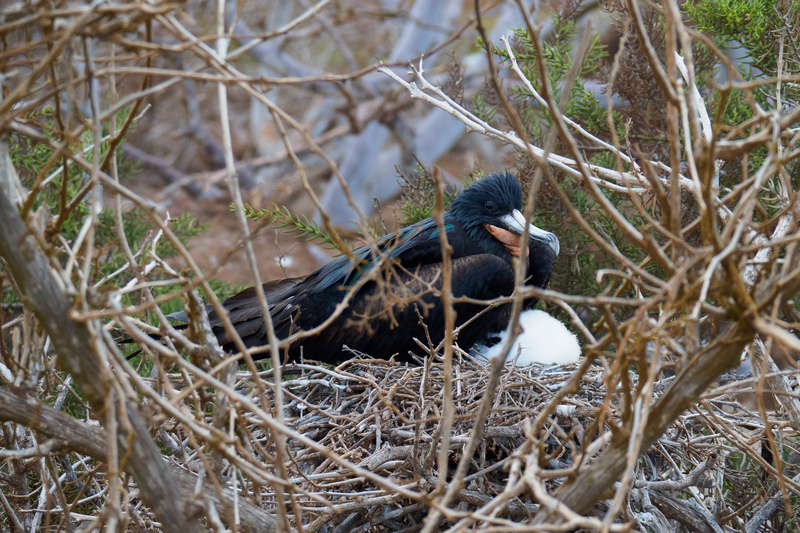 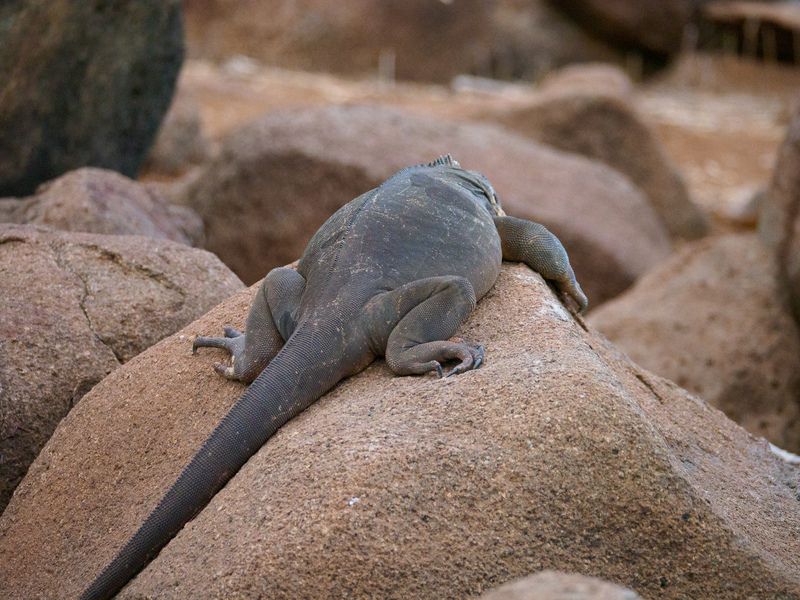 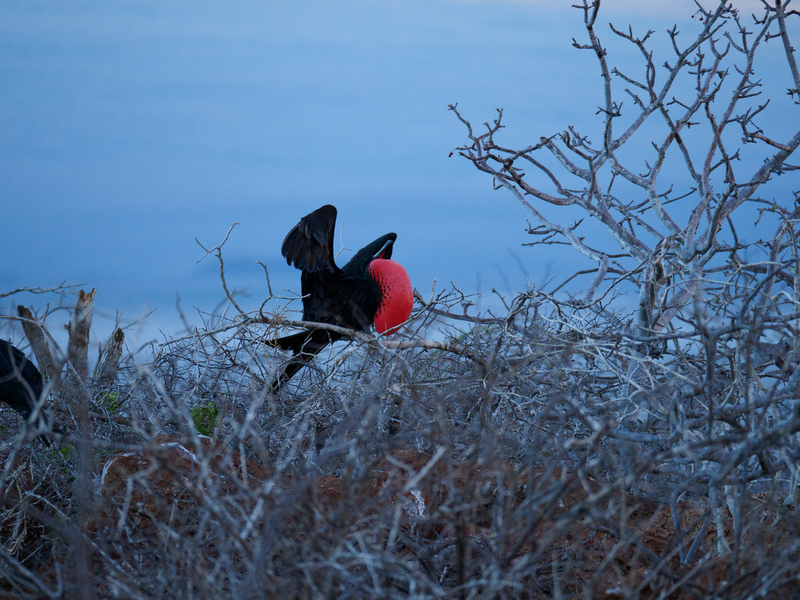 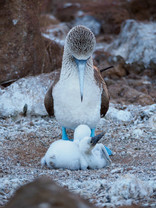 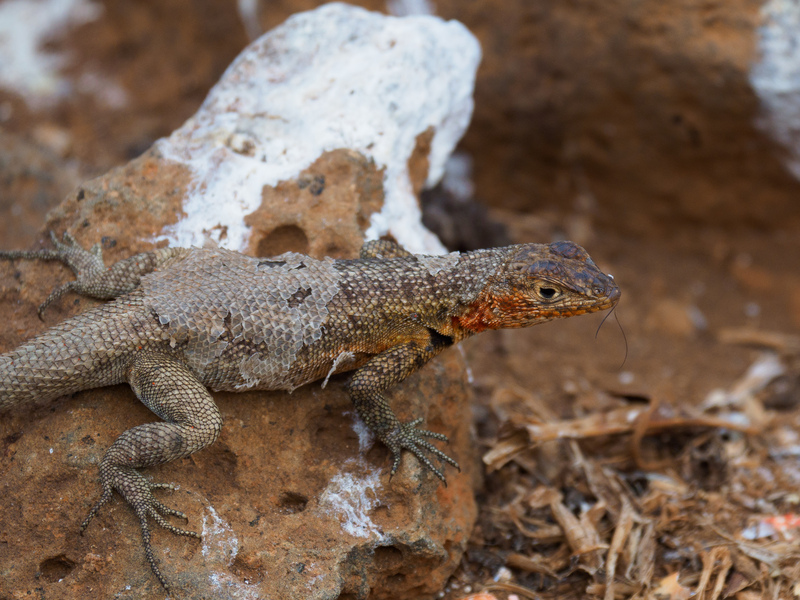 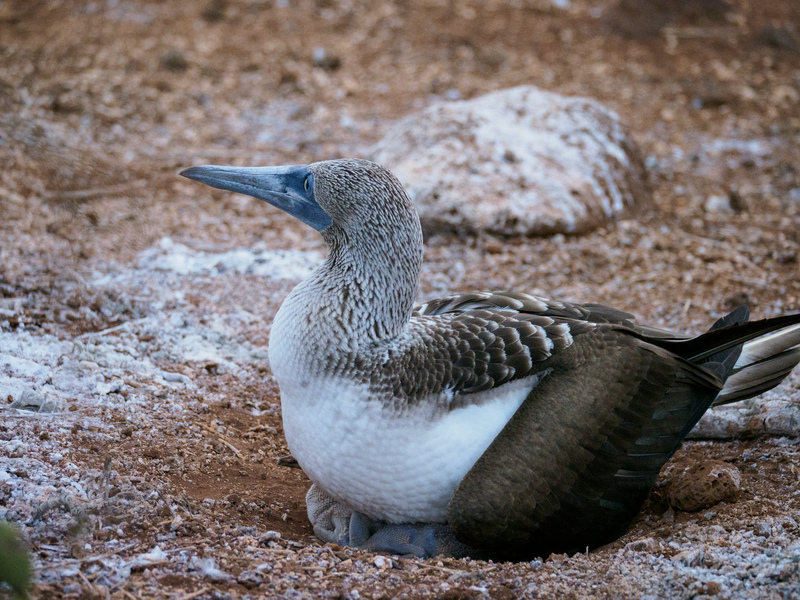 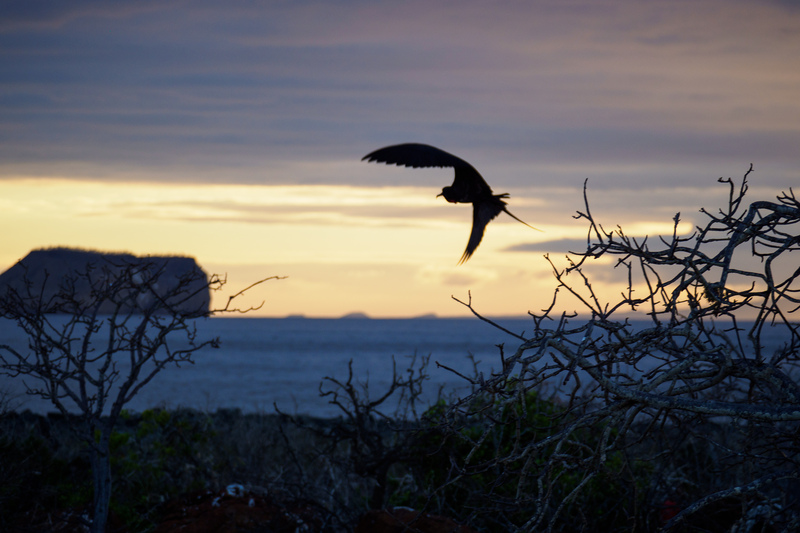 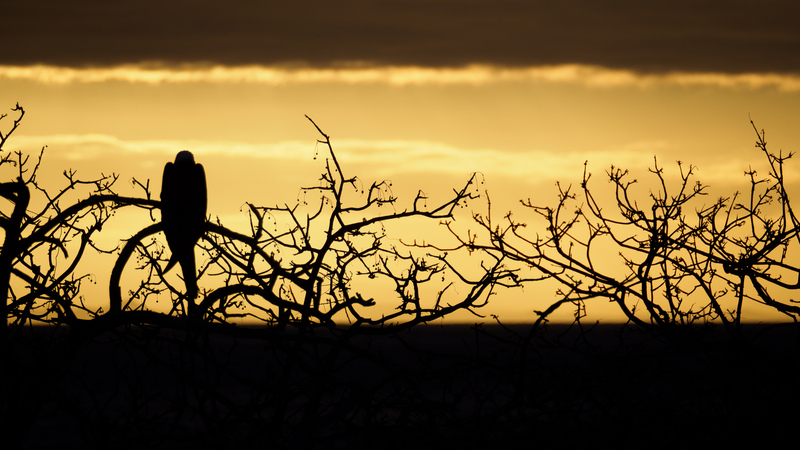 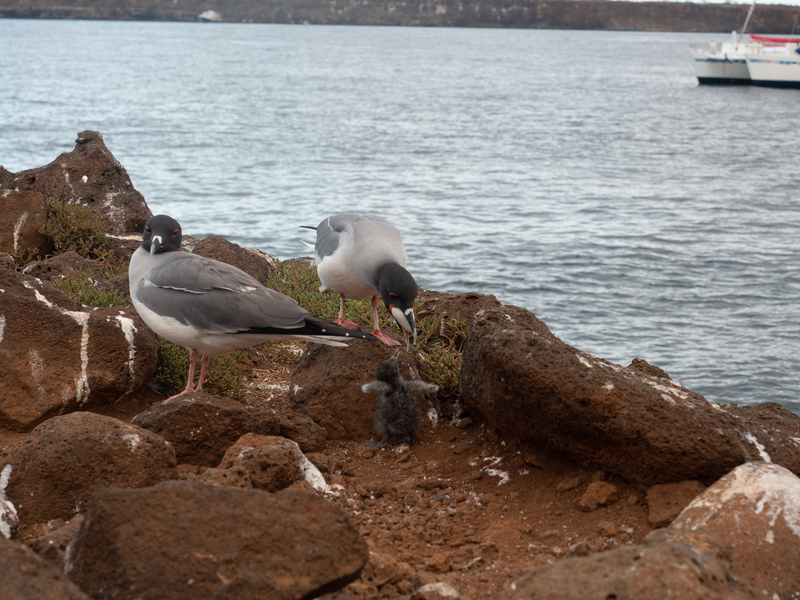 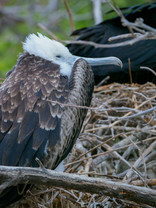 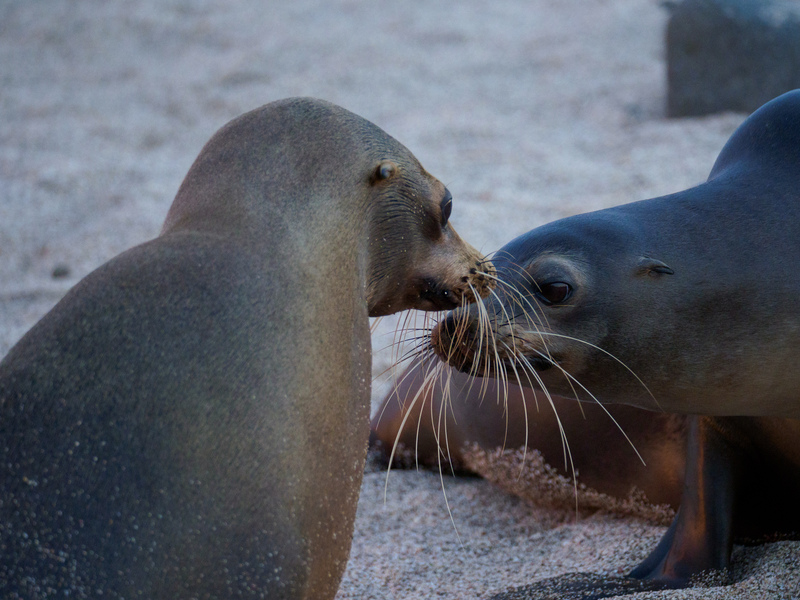 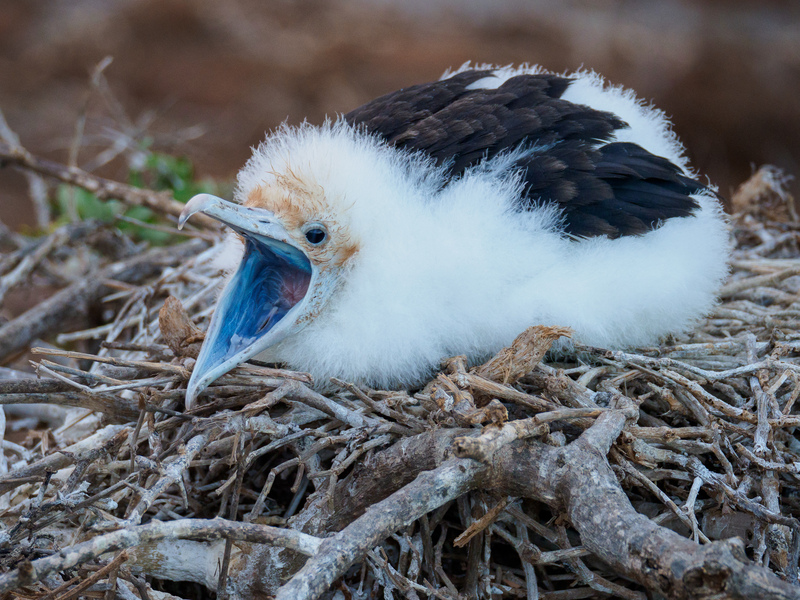 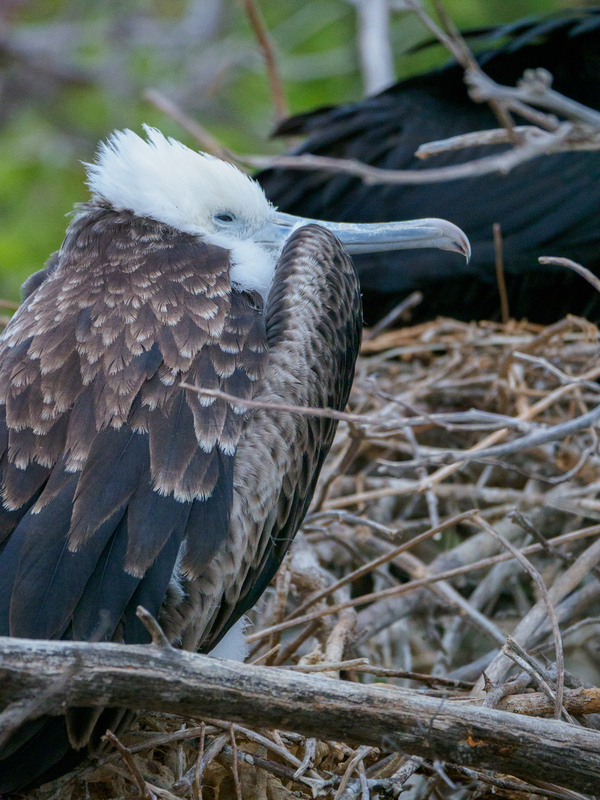 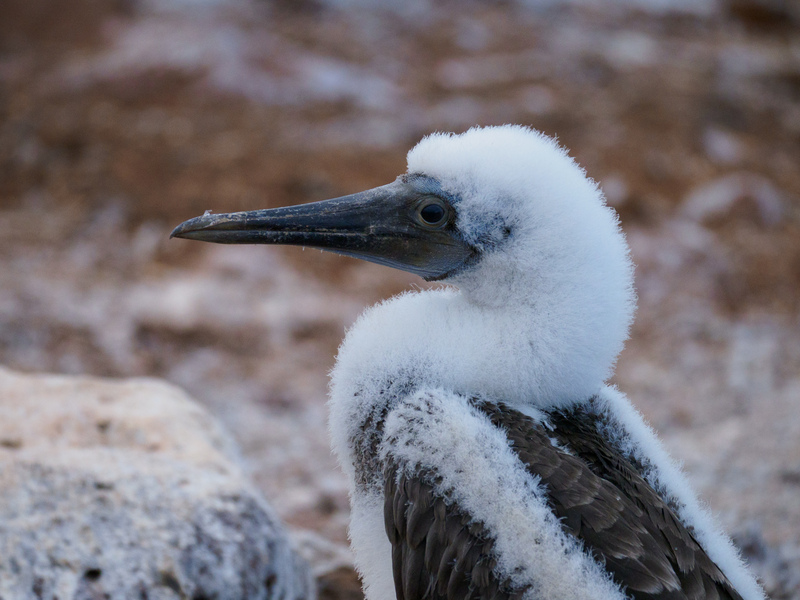 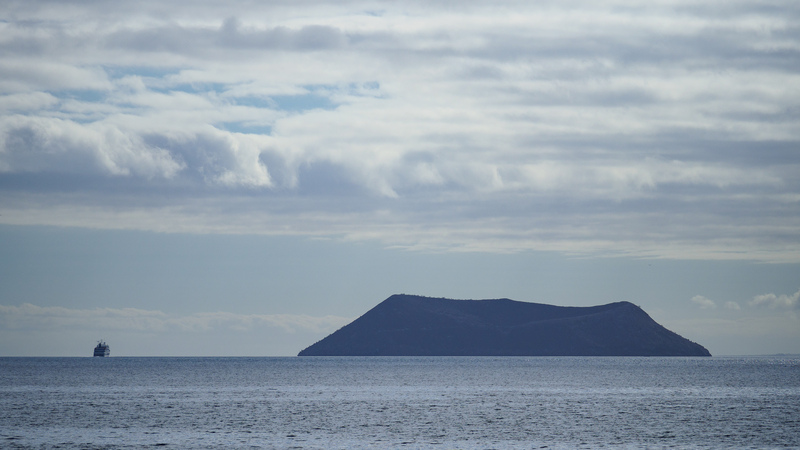 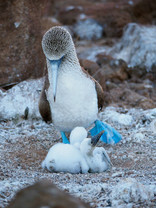 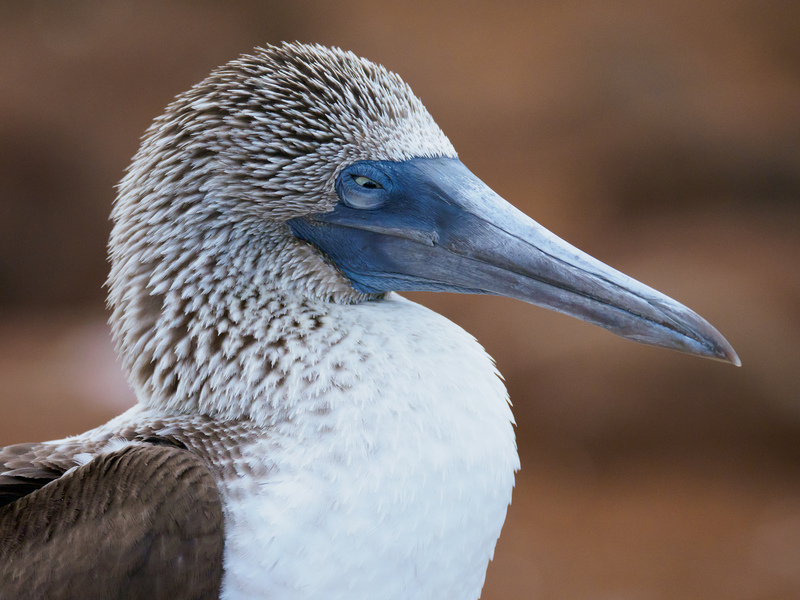 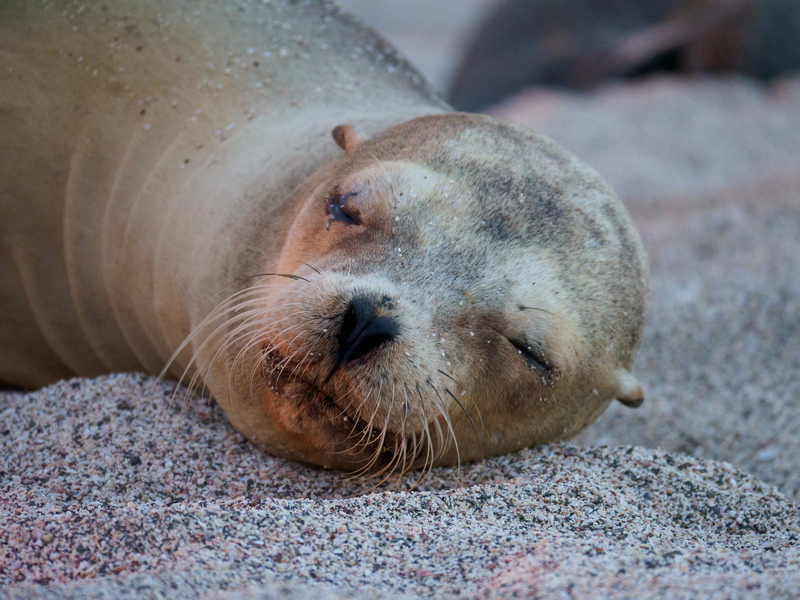 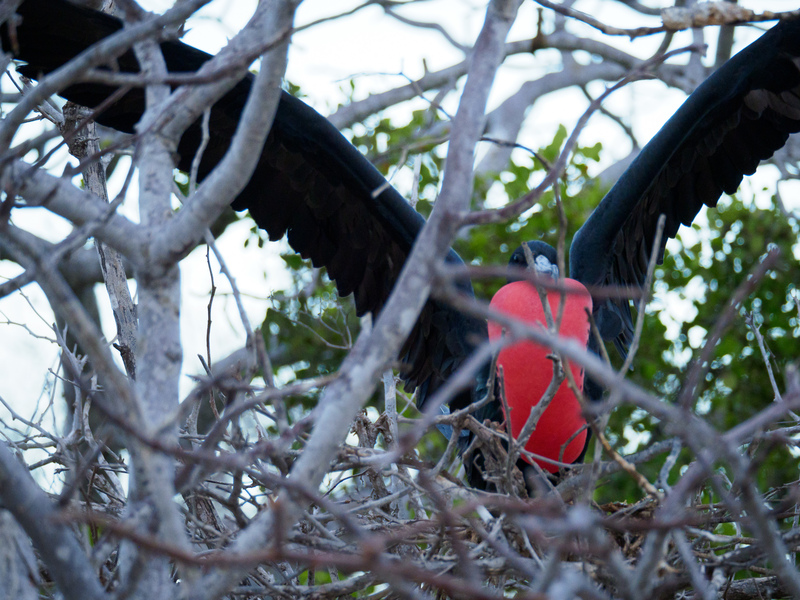 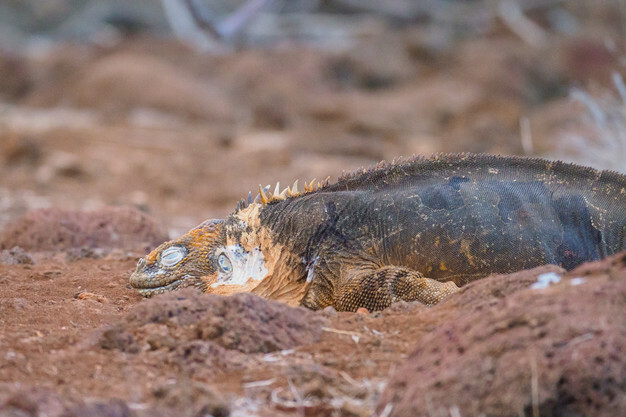 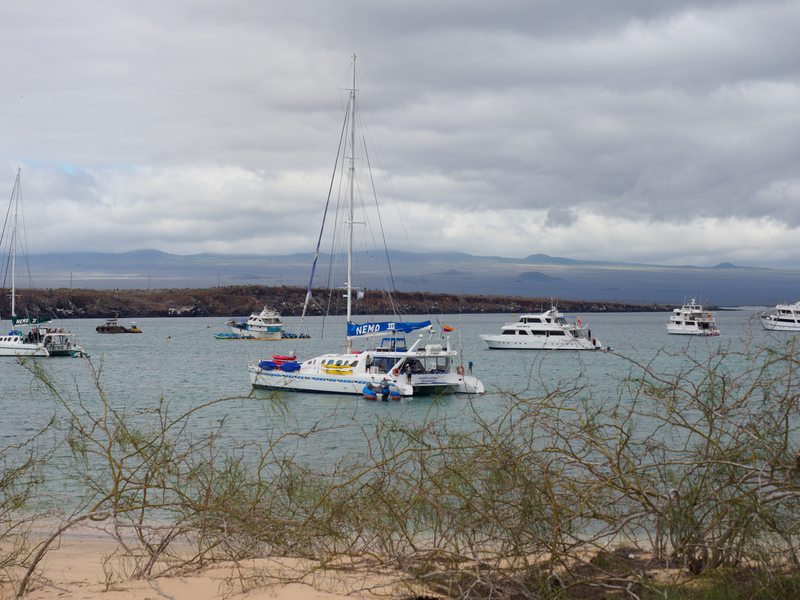 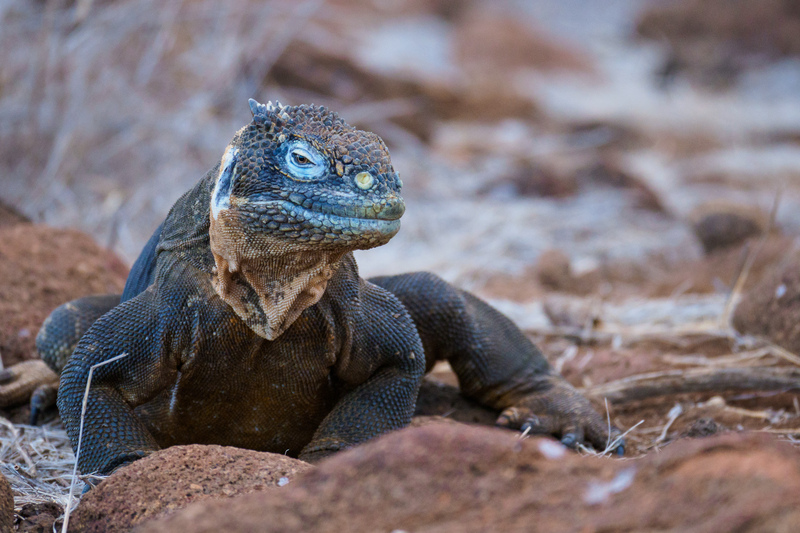 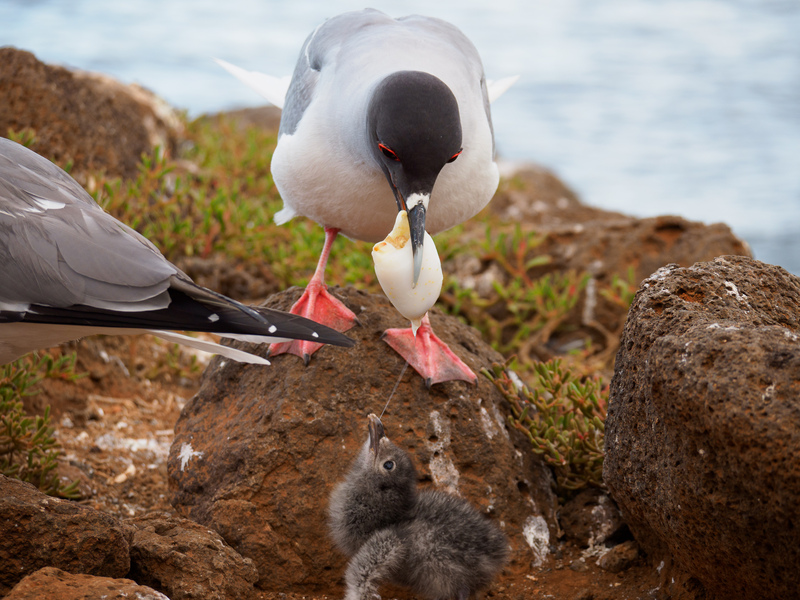 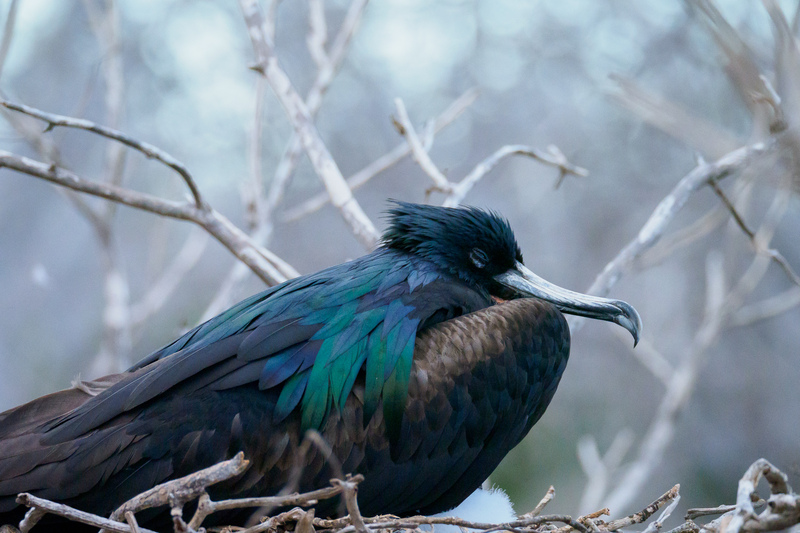 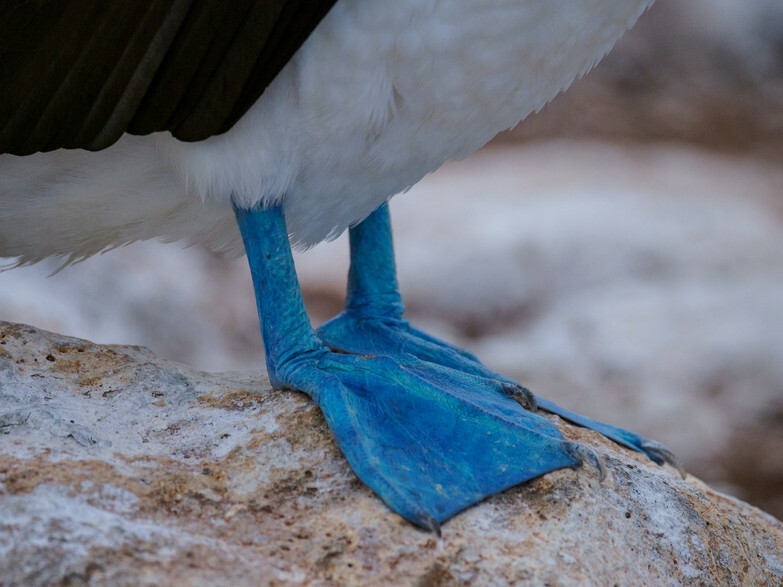 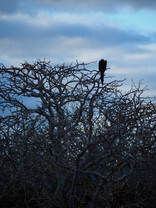 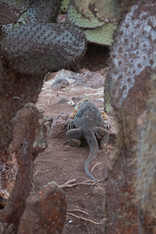 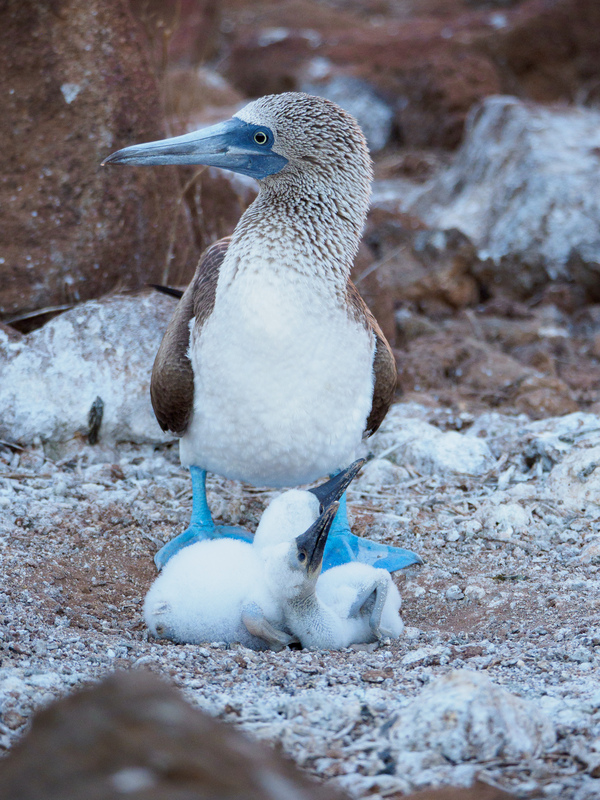 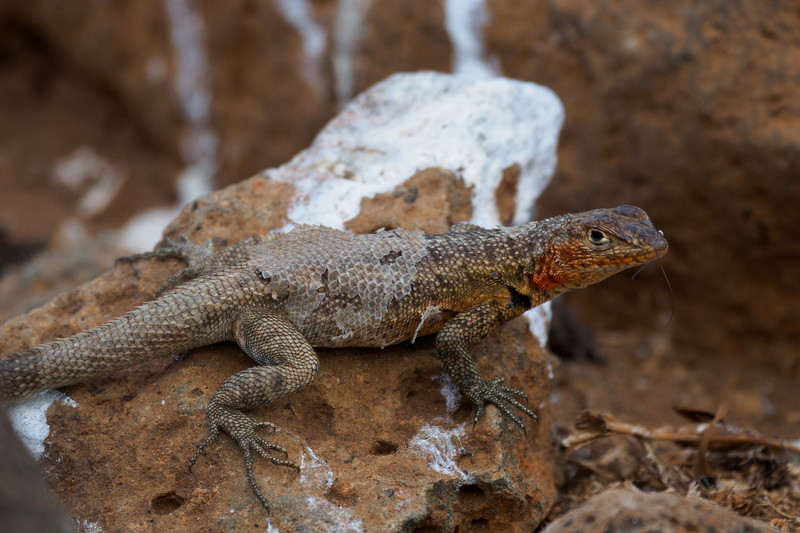 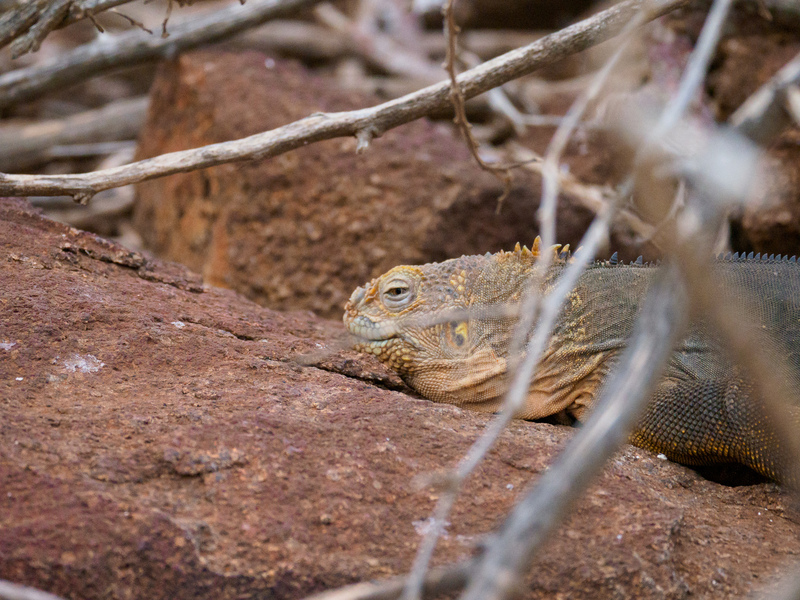 North Seymour Island lies just north of Baltra, and was our first and also final stop to view Galapagos wildlife. 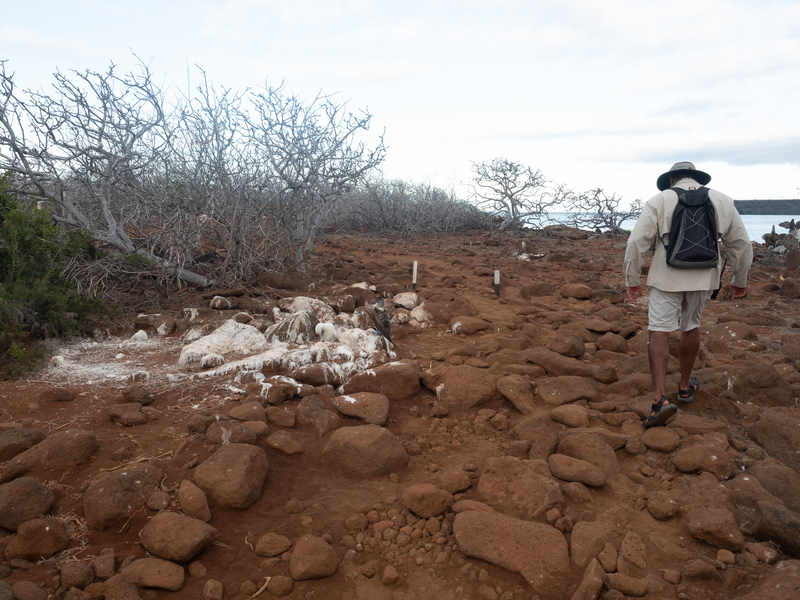 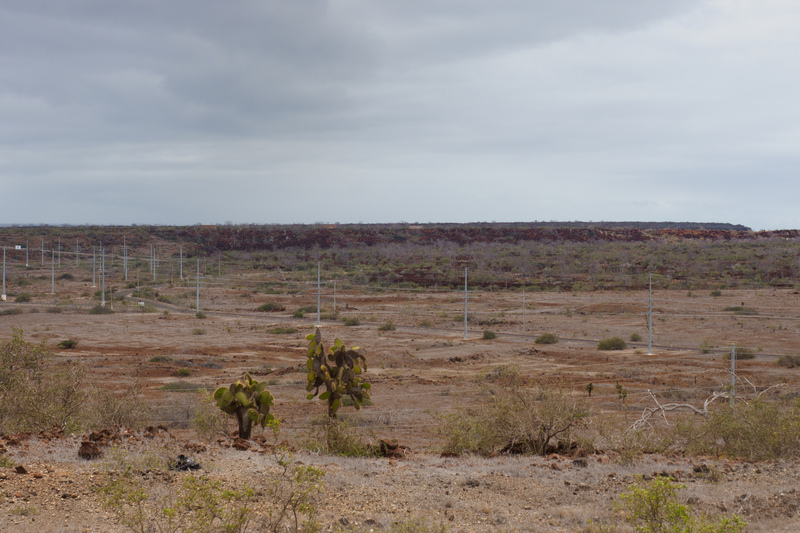 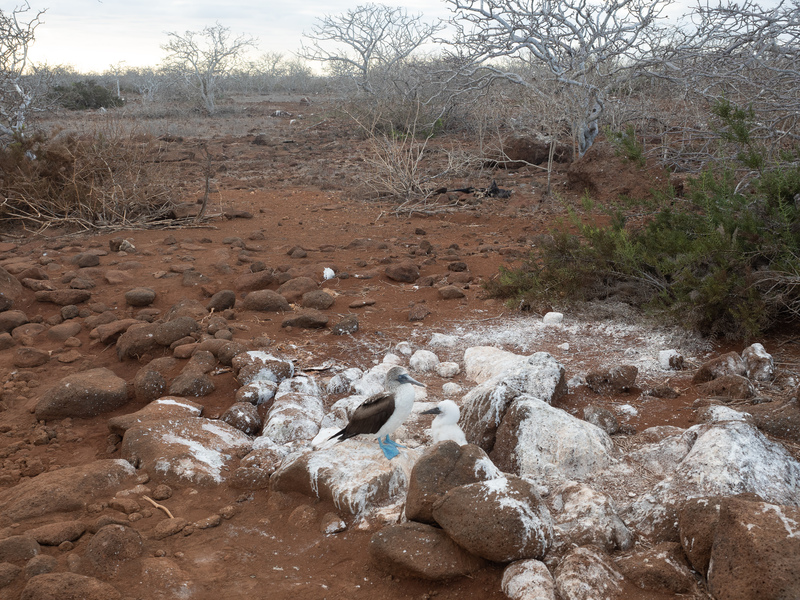 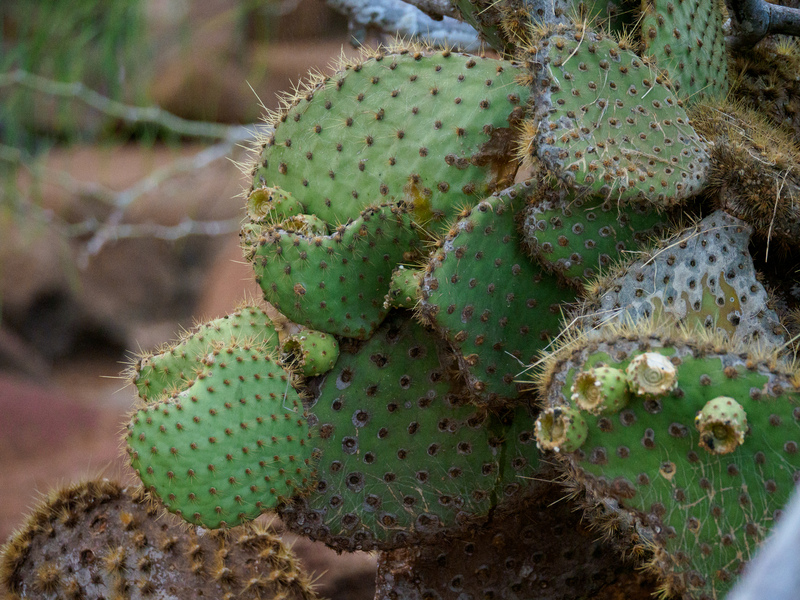 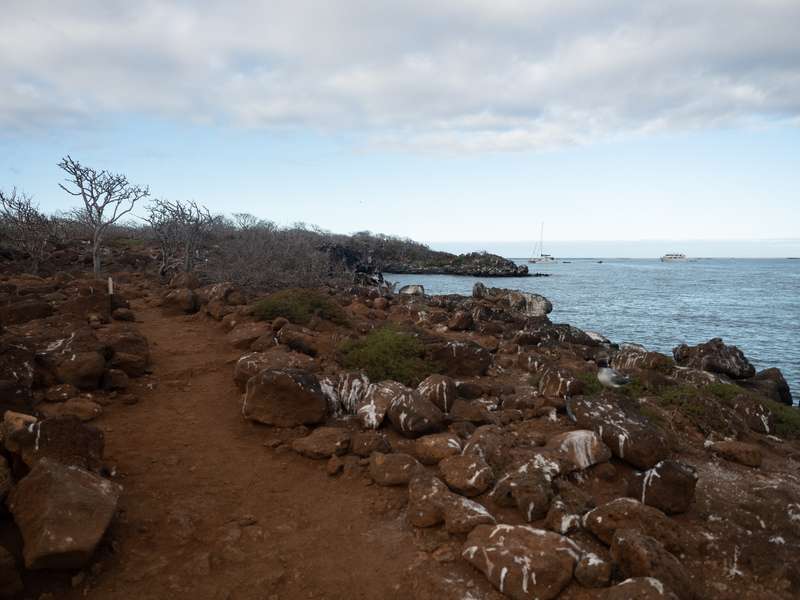 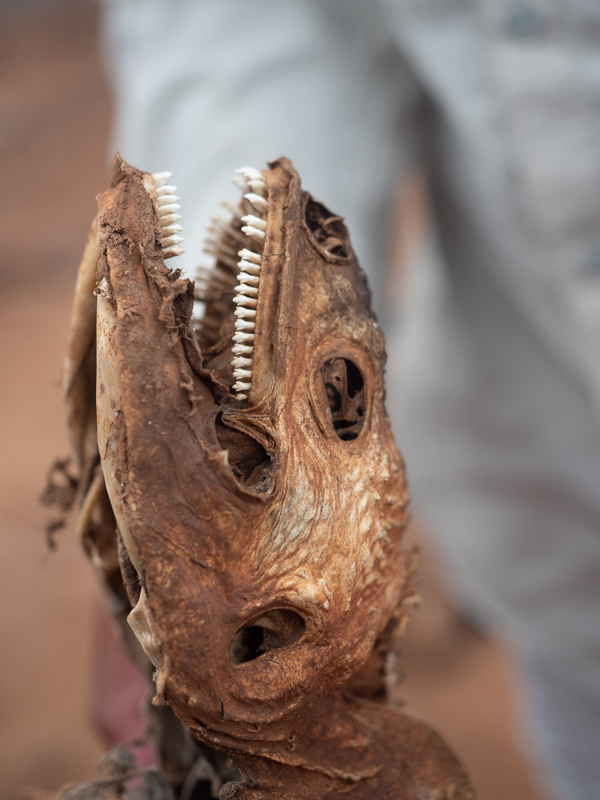 There's a landing site and a trail on the western tip of the island, where in short order you can see a pretty representative cross-section of what you'll see in the rest of the Galapagos. 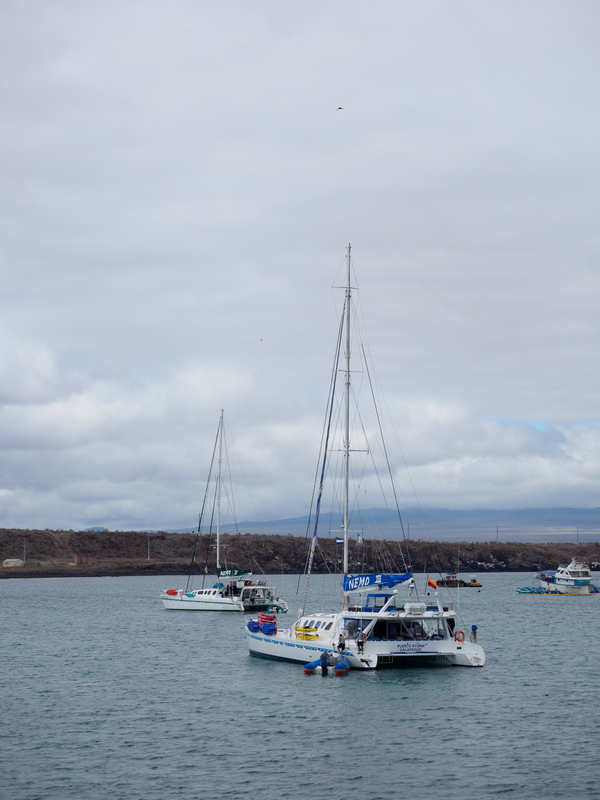 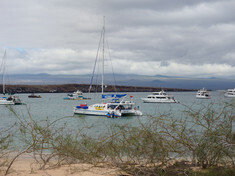 There are gulls, frigate birds, boobies, finches, lava lizards, land iguanas, cactus and other interesting vegetation, sea lions, and the Galapagos fur seal (actually a sea lion), and probably other things that I'm forgetting right now. 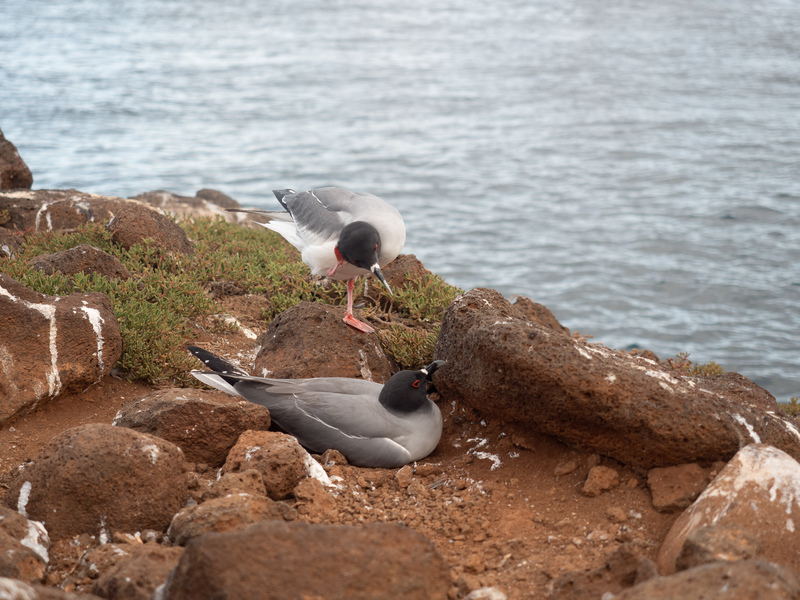 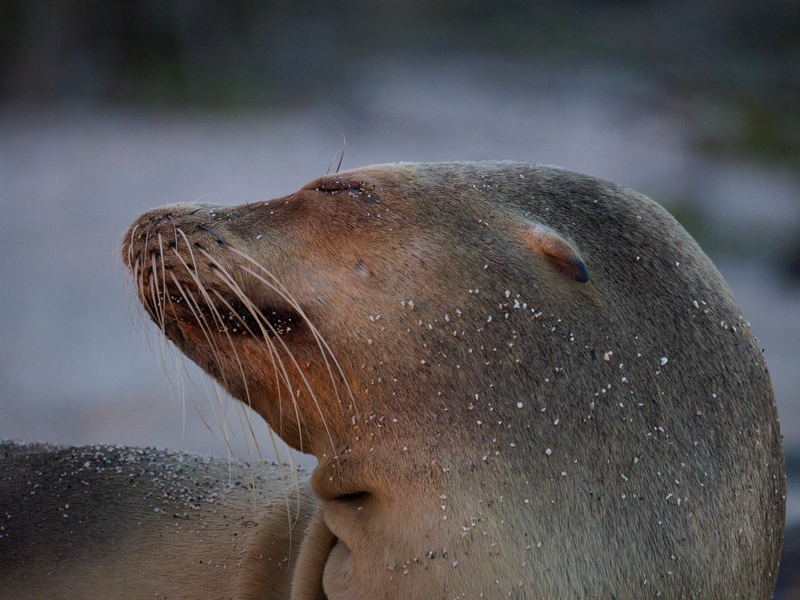 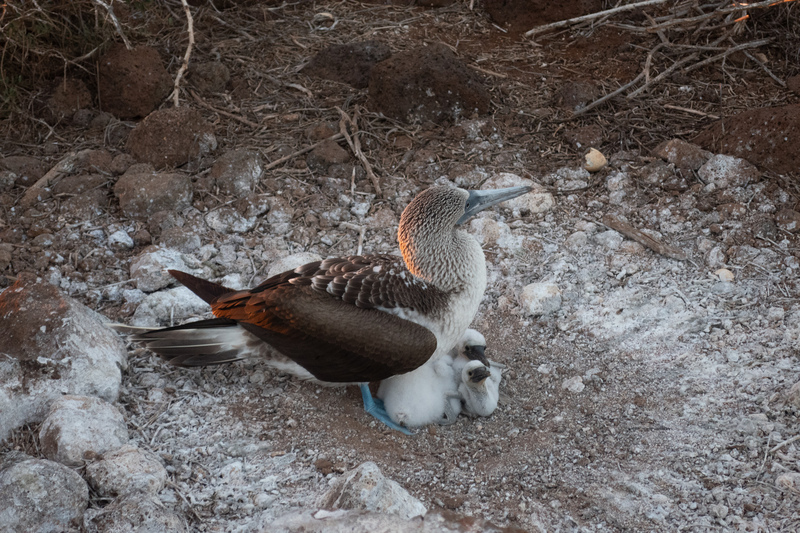 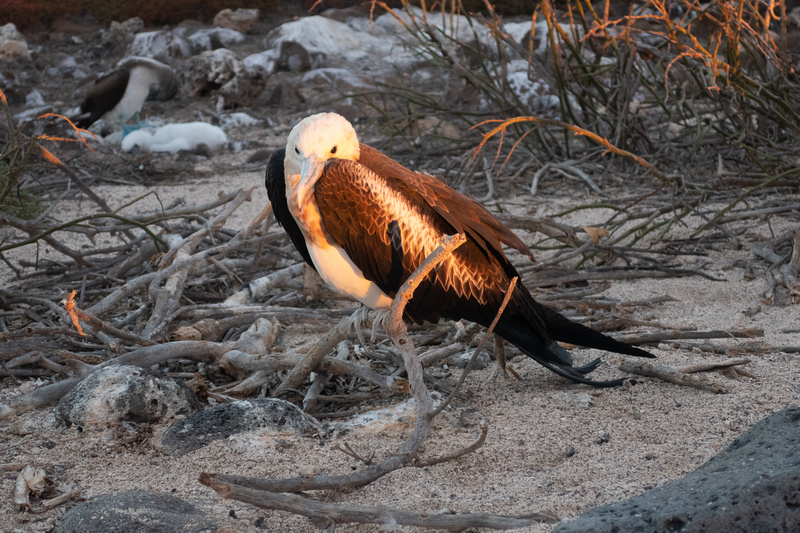 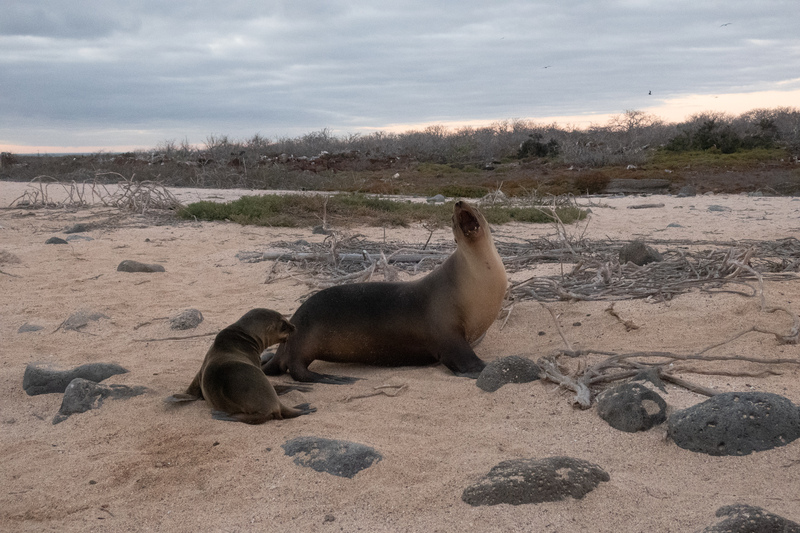 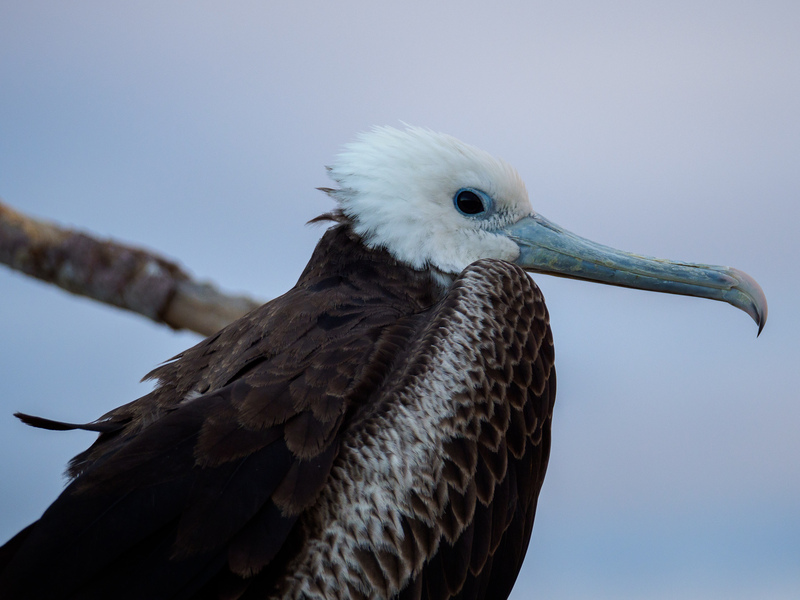 Amongst the highlights were seeing Swallow-tailed gulls nesting, and feeding regurgitated squid to their baby, nesting blue-footed boobies, Magnificent and Great Frigate Birds (and their chicks), the Galapagos fur seal, and a really epic equatorial sunset. In the sections below are a few photographic highlights, but be sure to go to the gallery page to see everything. 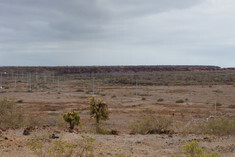 I've also highlighted a few pictures of the landscape of North Seymour separately.